WHAT'S COVERED IN THIS SAPPORO TRAVEL GUIDE BLOG 2019? 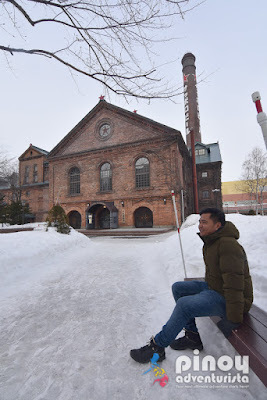 How to Get to Sapporo in Hokkaido Japan? 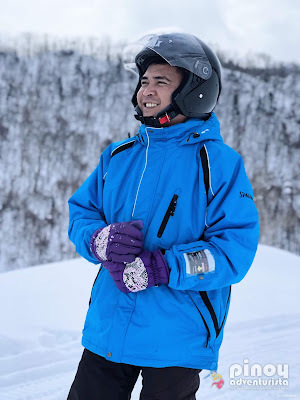 How to Get around Sapporo? 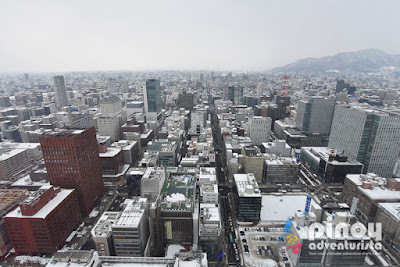 When is the best time to visit Sapporo? How many days to spend in Sapporo? 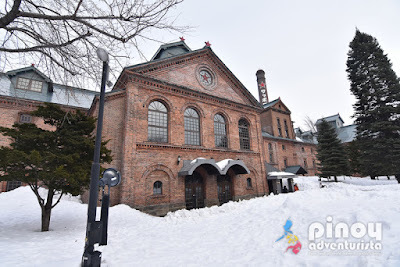 How to stay connected in Sapporo? 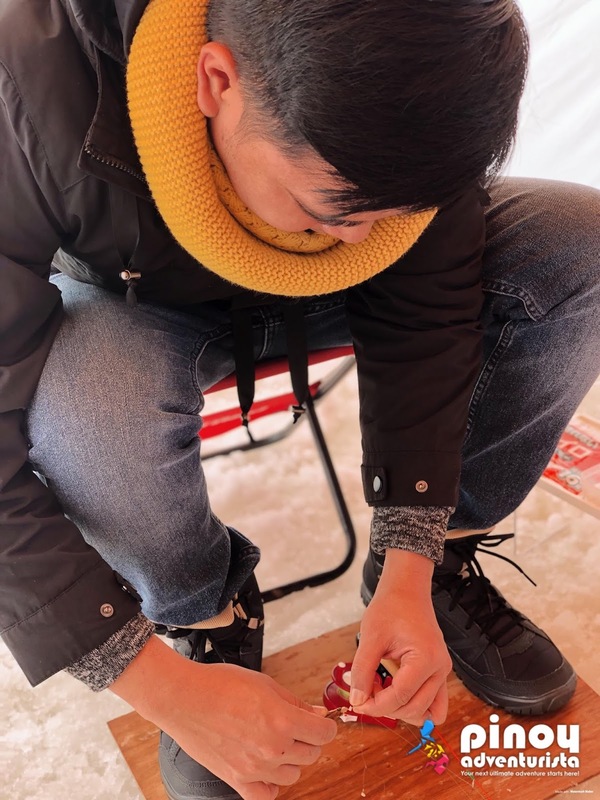 Where to change money in Sapporo? Filipinos holding Philippine passports need to secure a visit visa to enter Japan. 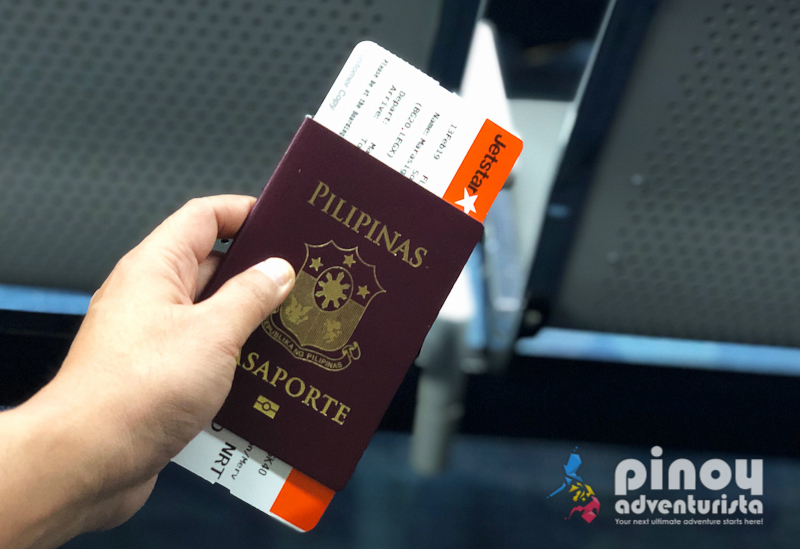 If you don't have a Japan Visa, you need to apply for a Japan tourist visa in the Philippines. To guide you in your visa application, you may refer to this step-by-step guide on how to apply for a Japan Tourist Visa with list of requirements. 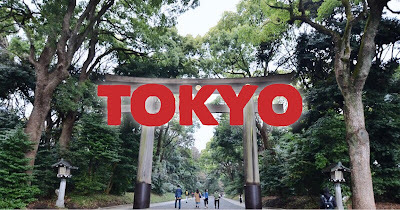 Getting a Japan Tourist Visa is quick, easy and convenient. 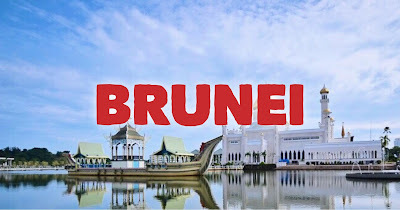 Just be sure to complete the application form, and submit all the visa requirements to an accredited travel agency and wait for about a week for the result of your application to come out. 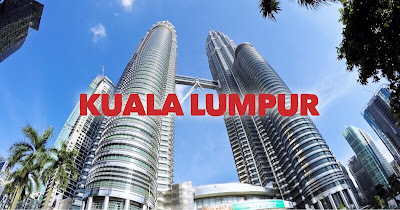 Single entry visa is valid for 3 months from the day the visa was granted. Filipinos can stay for a maximum of 15 days upon arrival in Japan. If you have a multiple entry Japan visa, you can stay in Japan for up to 30 days. 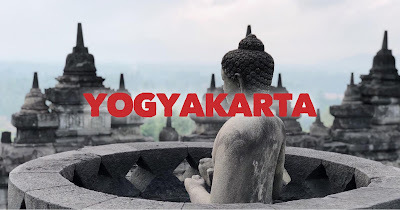 To avoid any inconvenience, be sure to have your return/onward tickets, hotel reservations, and activity/tour bookings in case the immigration officer asks for it. 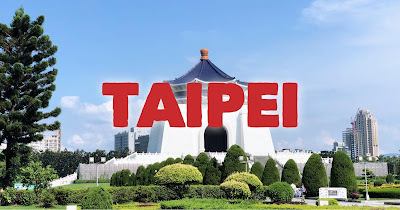 Also, check you flight details and make sure that your departure date is within the maximum number of days allowed for you to stay in Japan. 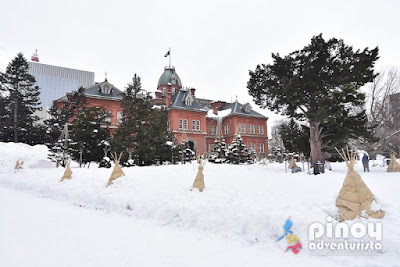 HOW TO GET TO SAPPORO IN HOKKAIDO, JAPAN? 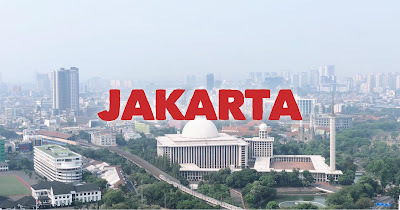 Thanks to Jetstar Asia Airways for offering cheap flights to Japan! It is now easier and cheaper to travel to Japan! 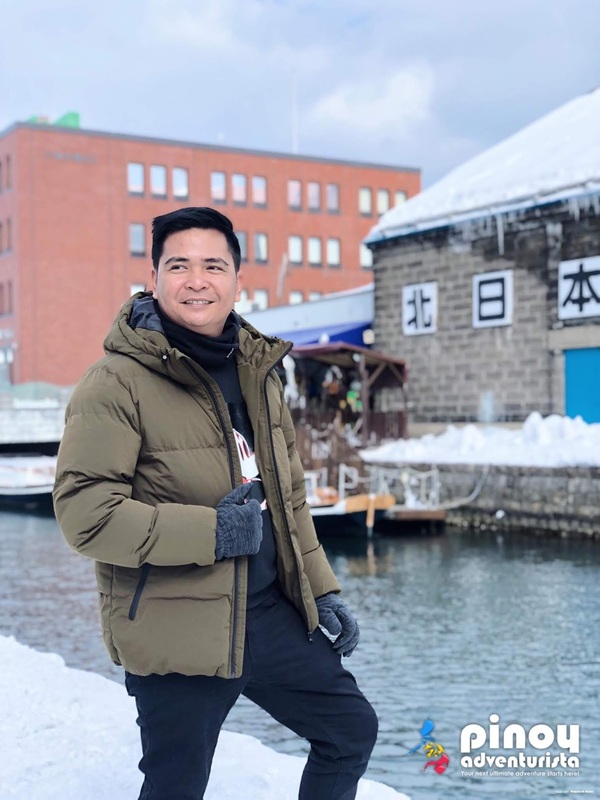 Jetstar Asia Airways has daily flights from Manila to Sapporo via Narita in Japan. From Manila's NAIA Terminal 1, we took the Jetstar flight to Narita International Airport and landed at Terminal 3. After passing through Japan immigration and getting our checked-in bags, we proceeded to the Domestic Terminal and checked-in for our domestic flight to New Chitose Airport in Hokkaido. Upon arrival at New Chitose Airport in Hokkaido, we took the train to Sapporo City. So far, the cheapest flights from Manila to Sapporo that I could find on the internet is offered by Jetstar Airways. 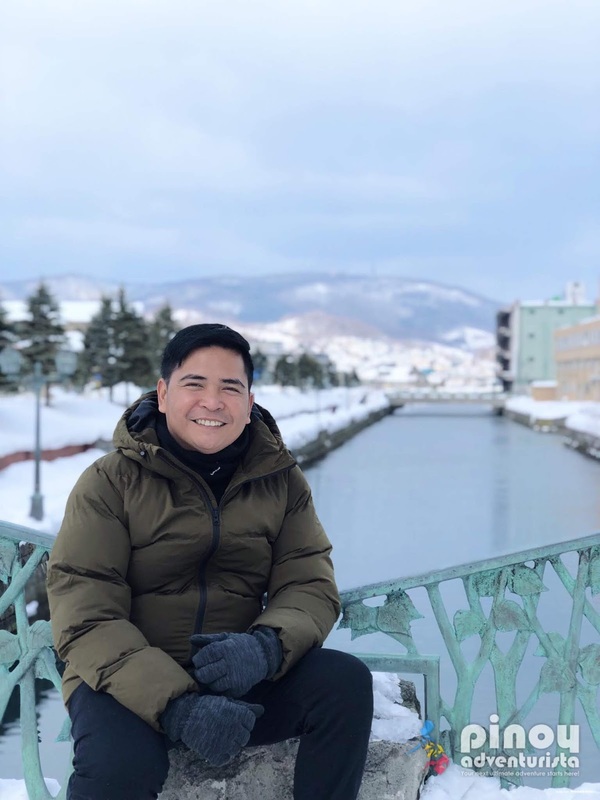 They also fly from Clark International Airport to Sapporo. You may also consider this in case you're nearer Clark Airport in Pampanga. Check out Jetstar Airways' low airfares, seat sale, and promos at their website www.jetstar.com! 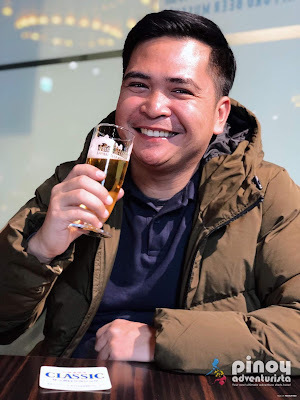 For a more detailed post of our Manila to Sapporo flight experience, you may read my previous blog post: How to Get to Sapporo from Manila? 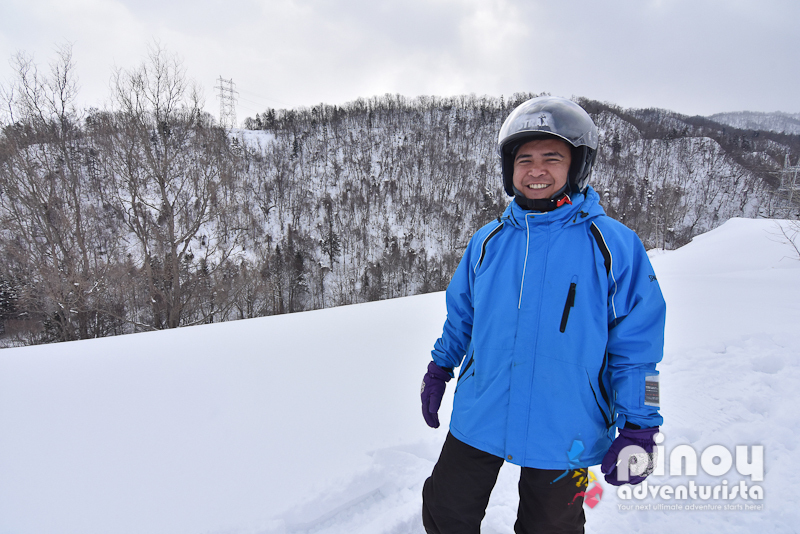 This trip to Sapporo was made possible by Jetstar Asia Airways. Sapporo is around 53 kilometers away from New Chitose Airport. 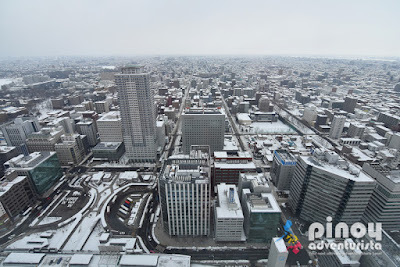 To get to Sapporo, you may take the JR Rapid Train, Airport Bus, or Rent a Private Airport Transfer. Upon arrival at New Chitose Airport, go down to the basement floor. At the basement floor of the airport, you will find the New Chitose Airport JR Station. Look for the vending machine and buy your ticket going to Sapporo Station. Please don't confuse it with Shin-Sapporo Station. They are 2 different Stations. If you're not quite sure on how to use the ticket vending machines, you may approach the JR Office and buy your train ticket from there. 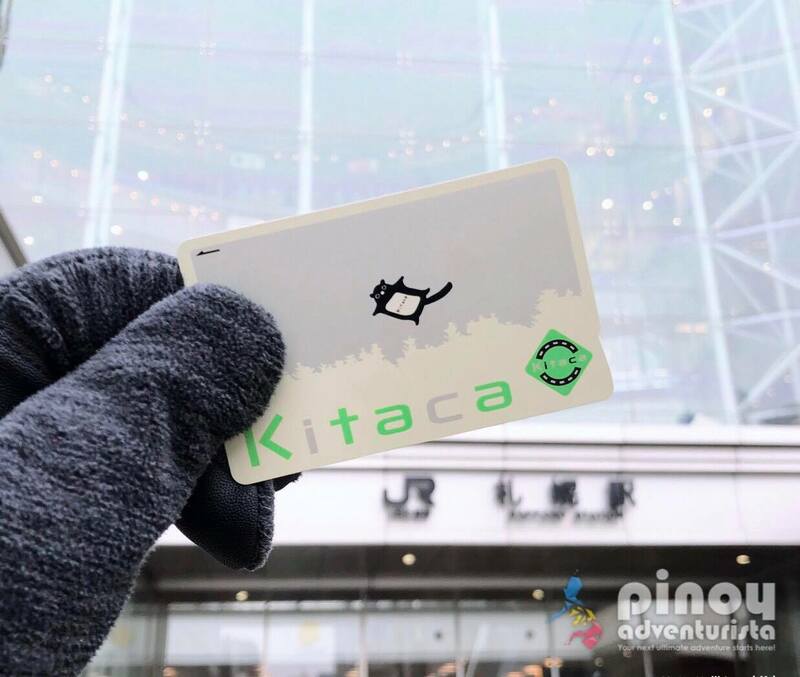 If you have a Kitaca IC Card, you can use it in taking the express train. New Chitose to Sapporo ticket price is JPY 1,070 for non-reserved seat. Or you may pay extra for JPY 520 for a reserved seat. Be sure to take the limited express train going to Sapporo. Avoid taking the local train because it has more stops and will take much of your time. Total travel time from the airport to Sapporo is around 40 minutes. Get off at Sapporo Station. The bus stops can be found at first floor of the domestic terminal. For the airport limousine buses bound for downtown Sapporo (via Fukuzumi Station / Keio Plaza Hotel Sapporo, go to bus stand numbers 14 and 22. If you're coming from New Chitose Airport's international terminal, the bus stops can be found at the building's first floor. For the airport limousine buses bound for downtown Sapporo (via Fukuzumi Station / Keio Plaza Hotel Sapporo), go to bus stand number 65. No reservations required. You can just hop on to the next available bus bound for Sapporo downtown. Fare is around JPY 1,000 which can be paid in cash or by using a Kitaca IC Card. If you're traveling with kids and senior citizens, you may book a private airport transfer. 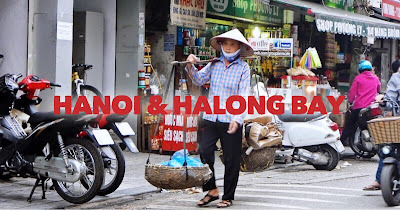 This is recommended as well if you're arriving late at night with huge luggage. This airport service runs for 24 hours, so you don't have to worry about arriving any time of the day and even at late in the evening. Going back to the airport, this is also a good choice so you won't have to worry about missing a flight. 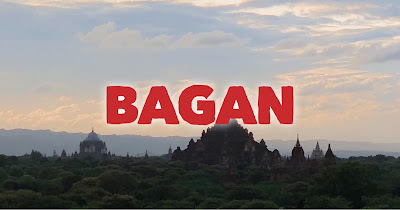 You can book a car for 1-2 passengers with 2 pieces of luggage / 3-5 passengers with 5 pieces of luggage, or a full-size van to comfortably fit 6-8 passengers with 8 pieces of luggage. In going around the City of Sapporo, you can walk, ride the subway trains, take the taxi or the bus. In our case, we usually do the combination of taking the subway and walking to our destination. When we want to visit a certain place, we usually use Google Maps and Hyperdia.com to check on how to get there. Using these also give you information on what train to take, train schedules, travel time, the number of stops, train transfers/changes, and the estimated fare. 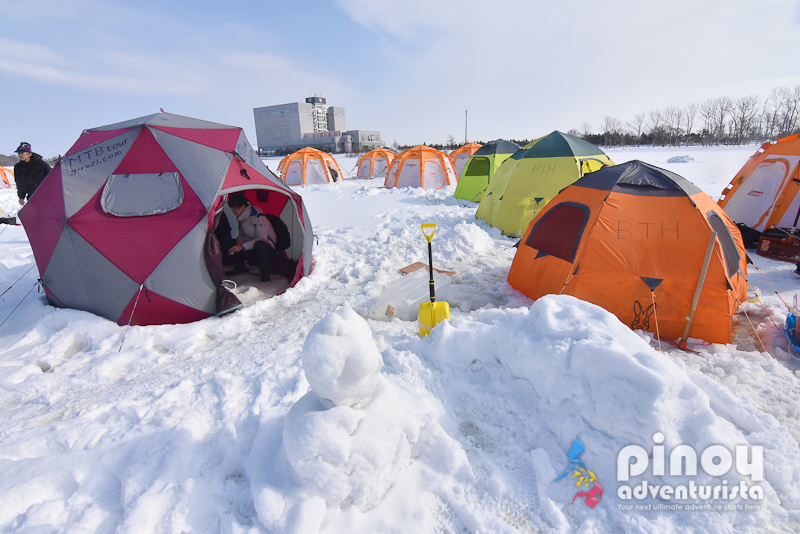 Google Maps and Hyperdia.com are pretty accurate and helped us a lot in navigating our way to the different tourist spots in Sapporo. For ease and convenience, we used a Kitaca IC Card in paying for our fares when taking the trains. This is like Osaka's ICOCA Card or Tokyo's Pasmo and Suica Cards. We bought our Kitaca IC Cards via Klook which is already pre-loaded with 1,500 yen credits. You can reload it at any JR Station or at convenience stores in Sapporo. The minimum top-up to the card is 1,000 yen and the maximum amount that can be charged is 20,000 yen. This card is very useful because aside from using it when riding the trains, we also used in buying stuff from convenience stores. The card also comes with a 500 yen deposit that you can refund when you return the card. 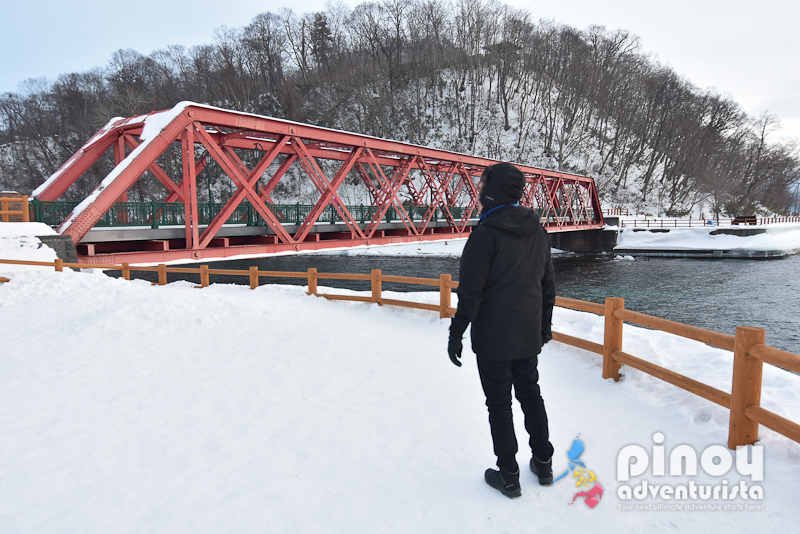 If you're just traveling around Sapporo, Otaru and New Chitose, you don't need a JR Pass. But if you're coming from Tokyo and will be traveling to Sapporo by train via Shinkansen (bullet train) and then back again in Tokyo, having a JR Pass will be more economical. When planning your trip to Sapporo and choosing your accommodation, consider hotels that are near a subway station - specifically Sapporo and Odori Subway Stations. On this trip, we stayed in 3 different hotels. One is near Odori Station, the second one is near Nakajima Koen Subway Station, and the third one is near Sapporo JR Station. Here are the hotels we stayed at. My Review: We stayed here for one night. 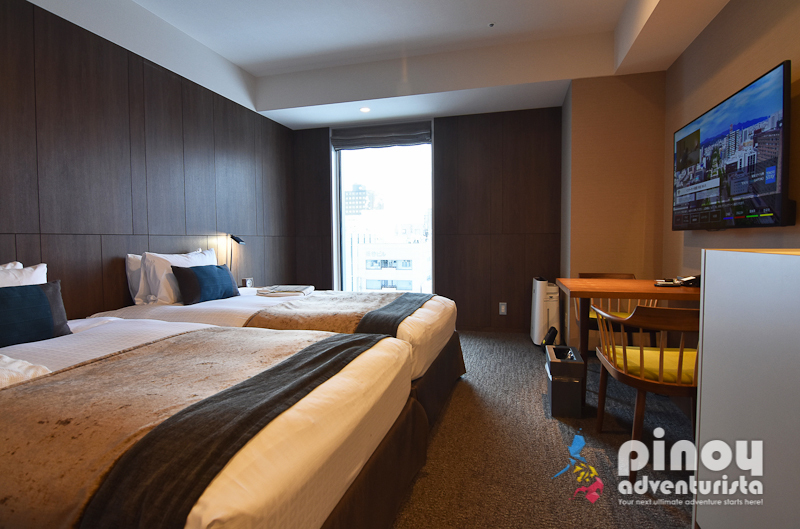 I love that this hotel is new, and it is located just 2 blocks away from/to Sapporo TV Tower and Odori Subway Station. The room is spacious and has all the essential amenities needed for a comfortable stay. It even has its own washing machine inside the room. How cool is that? Buffet breakfast is also quite good. The staff are very helpful and could speak English well. 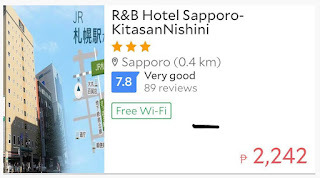 My Review: We stayed here for 2 nights. I love that it is located just across Nakajima Koen Subway Station. The hotel is huge, but old. The room is small, but it is equipped with all the essential amenities. For breakfast, you can have it at the ground floor which serves delicious organic and healthy breakfast or you can have it at the restaurant on the 2nd floor which serves western and Chinese buffet. The hotel also has a laundry area, vendo machines, and an onsen spa where you could relax after a day of exploring Sapporo. My Review: We stayed here for 3 nights. I love that it is located at around 10 minutes walk from/to Sapporo Station where we take the train most of the time. 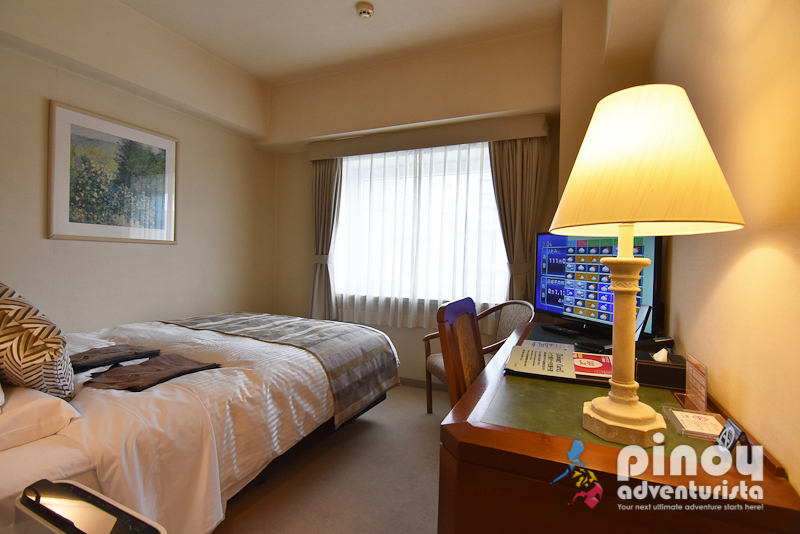 The room is also quite big for Japan standards and it also has a laundry area, vendo machines in almost every hotel floor, as well an onsen spa. 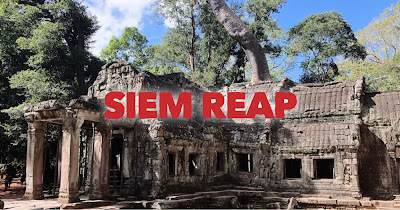 The staff are very courteous, accommodating, and could speak English very well. 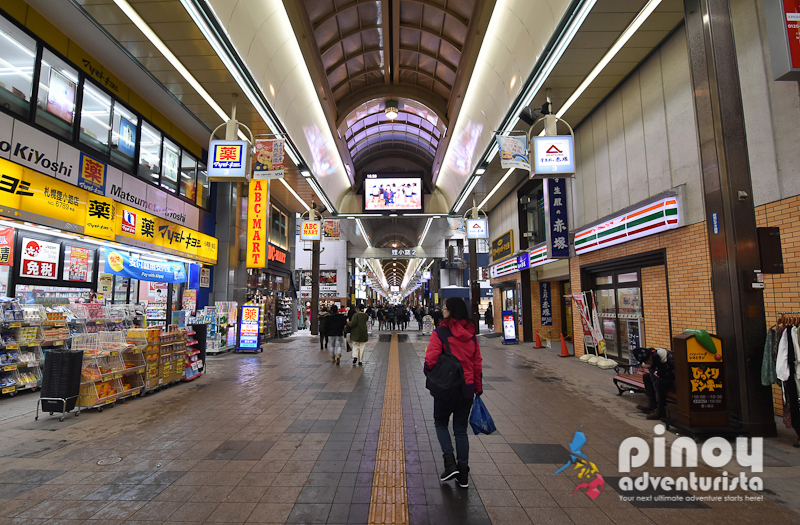 Convenience stores such as Family Mark, Lawson, and 7-Eleven are just 5 minutes walk from the hotel. So getting hungry any time of the day is not a problem. 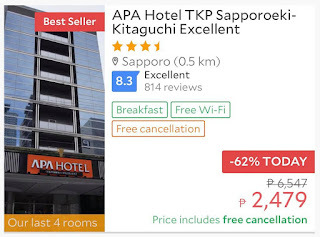 Here are some of the budget-friendly hotels near Sapporo Station with very good to excellent ratings on Agoda.com. Room rates are per night and for 2 persons. 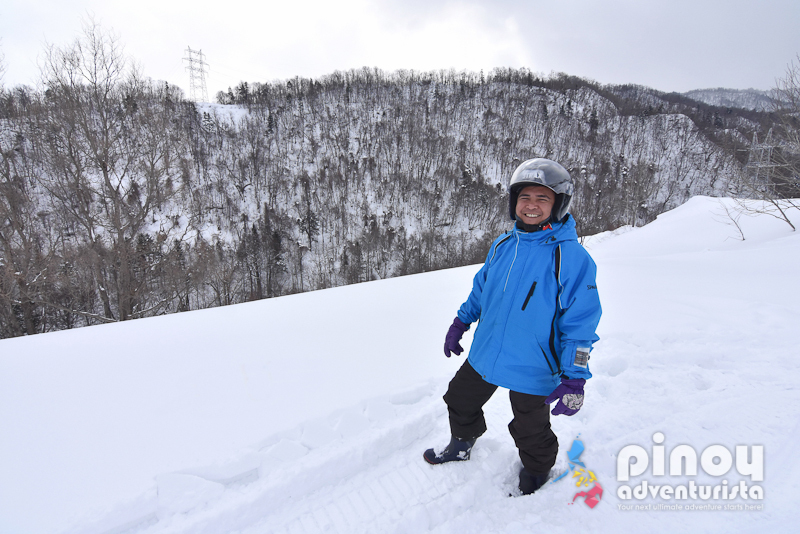 I've only been to Sapporo once, and that is during winter season. As the city is known for its winter activities and ice festivals, for me, the best time to visit Sapporo is during winter which is from December to February. 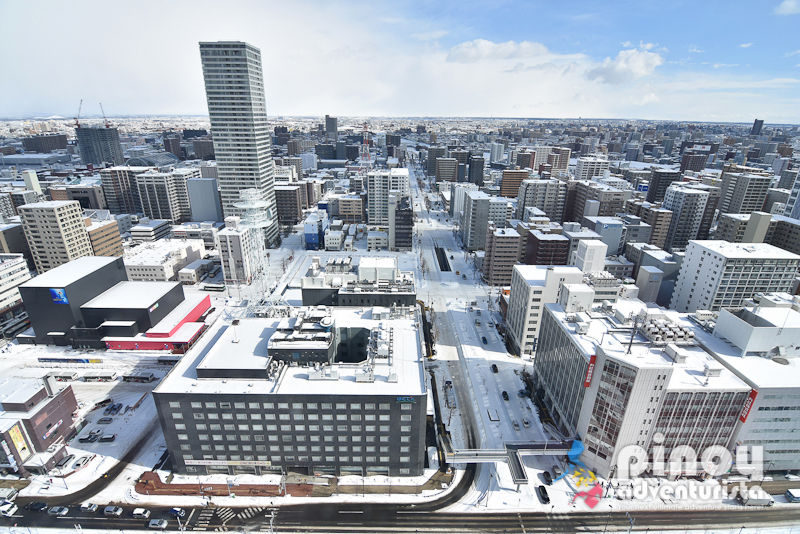 If you want to experience spring in Sapporo, you should visit it during late March to May. For summer season, visit Sapporo in June to August and for autumn, you should visit it in September to November. HOW MANY DAYS TO SPEND SAPPORO? 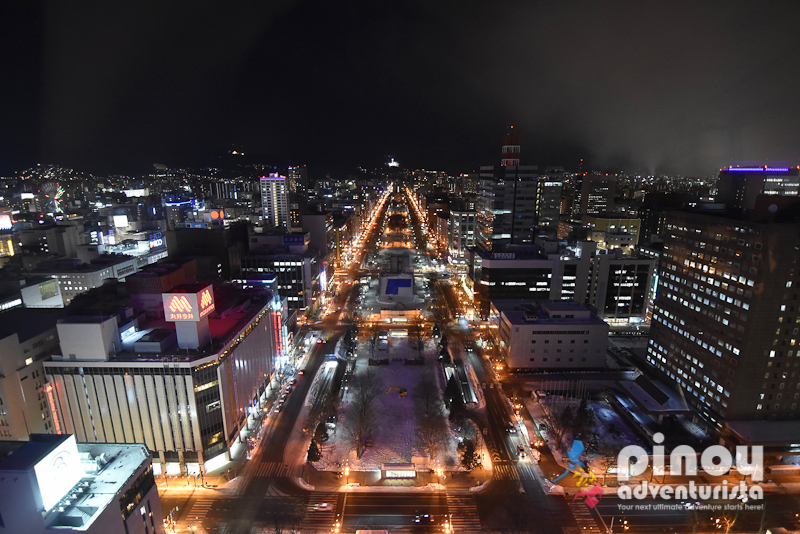 I believe the most ideal is 5 days and 4 nights to enjoy most of the tourist spots, attractions and things to do in Sapporo. 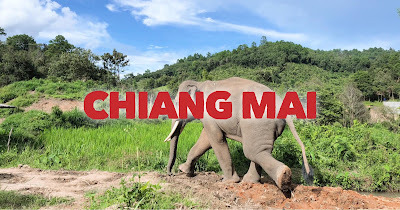 But if you have limited time and budget, a 3 days and 2 nights itinerary is also quite good and feasible. Check out my Sample 3D2N Sapporo Itinerary + Otaru Day Tour below. 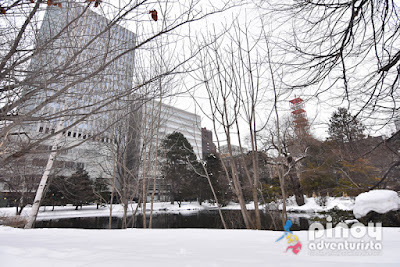 To stay connected while in Sapporo, you may rent a pocket WIFI device or buy a Japan 4G SIM Card for your internet use in Sapporo. 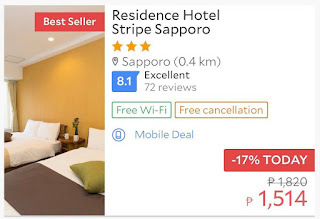 SAPPORO WIFI RENTAL: You may rent a pocket WIFI via Klook. You can book it in advance before leaving the Philippines and just pick it up upon arrival at New Chitose Airport in Hokkaido. 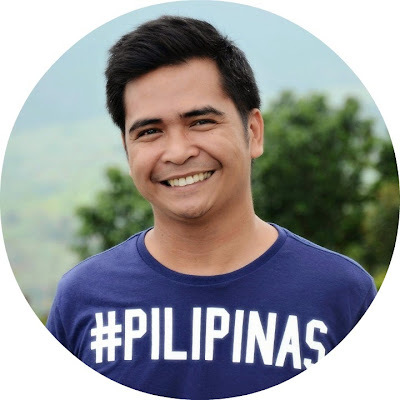 It only costs ₱ 234 per day of 4G WiFi coverage. 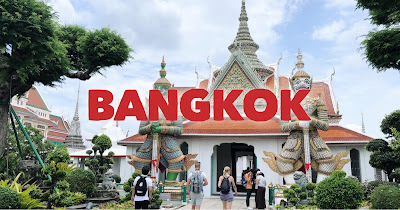 The best thing about renting a pocket WIFI, you can connect up to 5 devices and you can split the cost with you travel buddies which will save you a lot on travel expenses. JAPAN 4G SIM CARD: If you have an open line mobile phone, you may also opt to buy a Japan 4G SIM Card. You can choose from 3 different prepaid SIM card packages that suits your needs and conveniently pick up your SIM card at multiple Japan International Airports such as the New Chitose Airport in Hokkaido. Japan currency is called Japanese Yen (JPY) which is about 0.0090 US Dollar (USD) or 0.47 Philippine Peso (PHP) during our trip. You can find many money exchange counters at the airport - both in Narita and New Chitose Airport. In Sapporo City Center, I don't remember seeing money changers aside from some hotels that offer this service. So, it's better if you change your money at the airport before going to Sapporo City. Alternatively, you can also change your money before leaving the Philippines. Money changer at NAIA can change your Philippine Peso (PHP) to Japanese Yen (JPY). Another option is to withdraw Japanese Yen directly from ATMs in Japan. You can find many ATMs at the shopping malls, train stations, and convenience stores. To avoid any inconvenience, make sure that you have advised your bank before leaving your country that you will be withdrawing money from ATMs abroad. This is what I always do when I travel abroad. But take note that the exchange rate when withdrawing at the ATM is slightly higher. During our trip it's at 1.00 JPY for 0.49 PHP when I withdrew money from the ATMs. Also, every transaction has a service fee of around 150 to 180 pesos depending on the bank you used. So, make sure to withdraw the maximum amount for every transaction. I'm not sure how much is the maximum amount that you can withdraw per transaction, the biggest amount I tried withdrawing is 20,000 JPY. 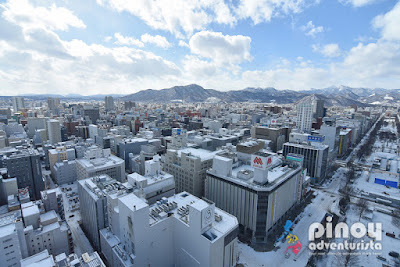 What top best things to do in Sapporo are there? 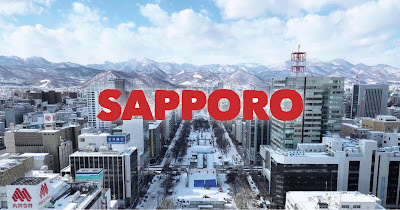 What do you see and do in Sapporo when you visit? 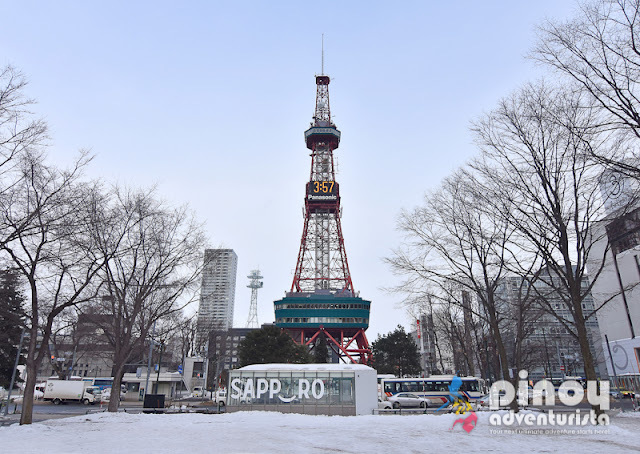 Here are the top tourist spots and attractions, and things to do in Sapporo you should not miss. 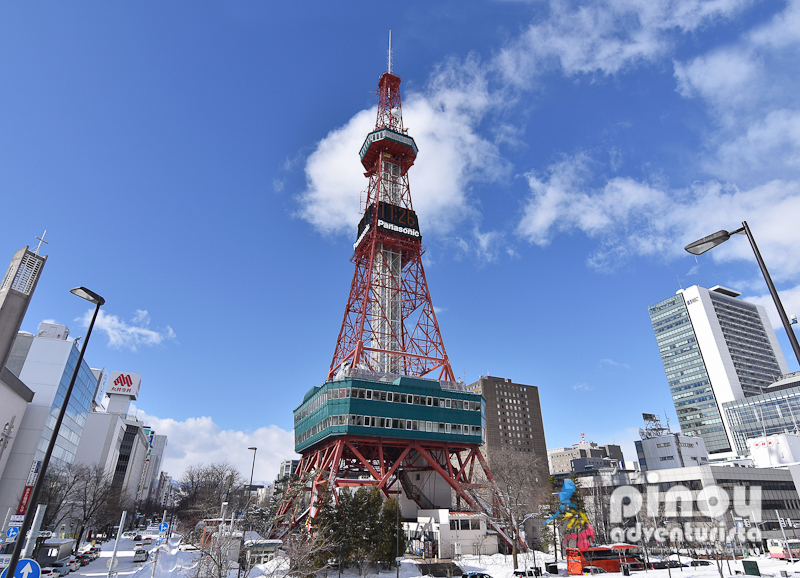 One of the most distinguishable landmarks in Sapporo, the Sapporo TV Tower is a 147.2 meter high TV tower built in 1957. 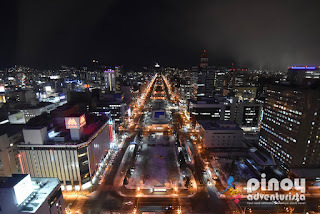 It has an observation deck at a height of 90.38 meters where visitors could go up and enjoy an amazing 360-degrees view of the city including Odori Park, Ishikari Heigen and the Sea of Japan. Open to the public, the observation deck can be reached by taking the elevator from the tower's 3rd floor. 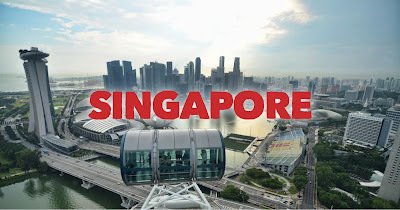 It is open daily from 09:00 am to 10:00 pm and entrance fee to the observation deck is JPY 720 or PHP 335.00 for adults. You can buy discounted TV Tower tickets via Klook for only PHP 311.00 pesos. 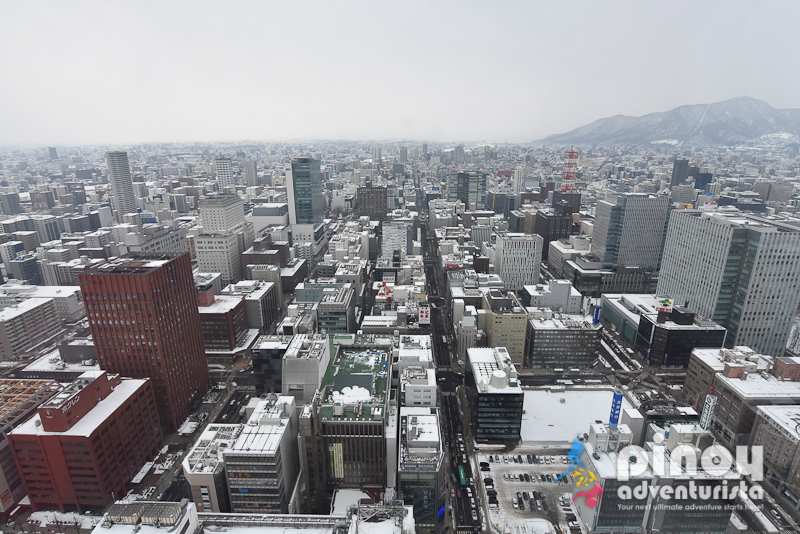 For me both day and night times are the best time to visit Sapporo Tower's observation deck. The best thing to do is to visit it in the late afternoon and spend your time until night time. This way, you can both enjoy day and night time views of the city. Don't worry, there is no time limit in staying at the TV Tower's observation deck. You can also check out the souvenir shop at the observation deck while waiting for the time. How to get there: Take the subway, alight at Odori Station and take exit 27. A popular public park in Sapporo, Odori Park is located at the heart of Sapporo where many events and festivals are held every year. With a span of 1.5 kilometers, it stretches from the city's east to west through Nishi 1 chōme, Ōdōri to Nishi 12 chōme, Ōdōri, and divides the city into north and south sections. Odori means "large street" in Japanese, the huge park is covered with snow during winter and offers pleasant green space during the warmer months. 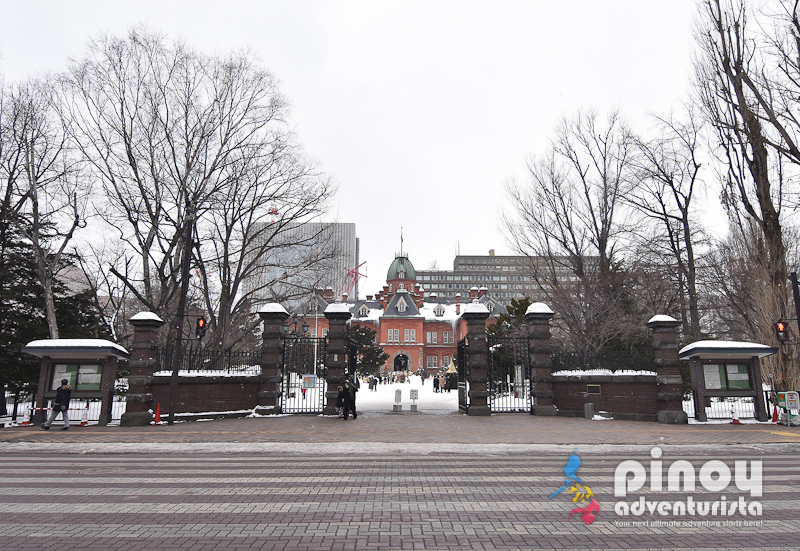 Popular festivals such as the Sapporo Snow Festival and the Sapporo Lilac Festival are held here. Entrance fee is free. How to get there: Take the subway, alight at Odori Station and take exit 5 or 6. 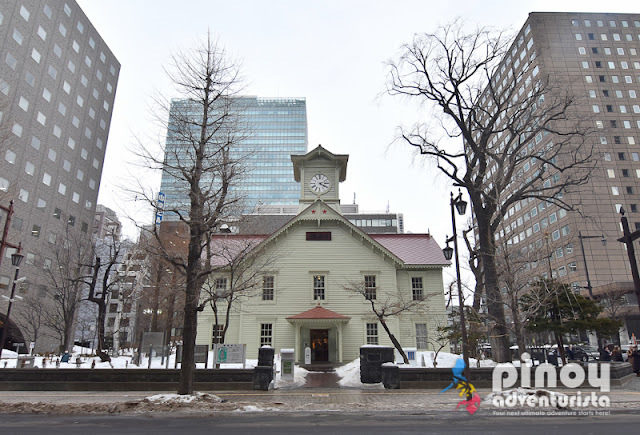 A symbol of Sapporo, the Sapporo Clock Tower Building was built in the early period of Sapporo's development in 1878 as a drill hall of the Sapporo Agricultural College. The City of Sapporo was developed in the late 1860’s which makes the Sapporo clock tower the oldest remaining structure in the city. Today, it houses an exhibit about the history of the building and also has displays about the clock and a spacious ceremony hall at the 2nd floor. 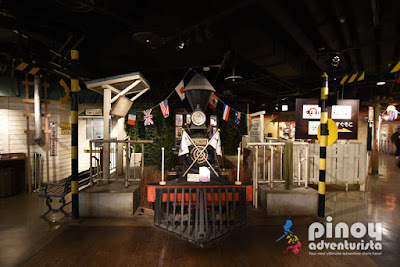 It is open daily from 9:00 am to 05:00 pm, entrance fee is JPY 200 or PHP 93.00 pesos. How to get there: Take the subway, alight at Odori Station and take exit 6 or 16. A famous shopping street in Sapporo, it is considered as "One of Hokkaido's oldest and finest shopping streets" where you could find hundreds for stalls and stores selling different merchandise. Tanukikojo Shopping Arcade is approximately 1 kilometers stretch of shops, and it runs east to west in downtown Sapporo. Make sure that you wear comfortable shoes as you will surely be walking a lot. 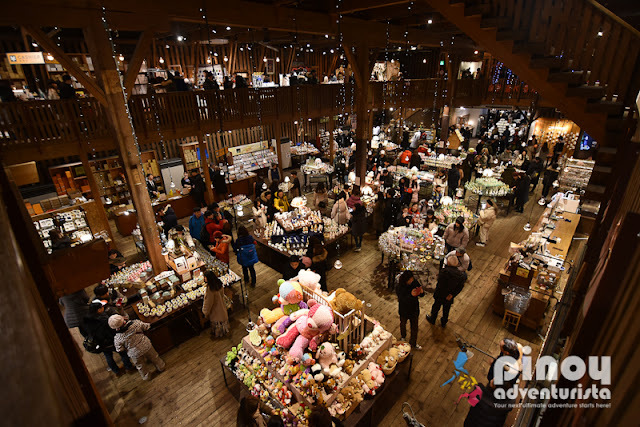 A "haven" for shop-a-holics, it’s a great place to buy some Hokkaido souvenirs! How to get there: Take the subway, alight at Odori Station and take exit 10. A popular red light district in Sapporo, Susukino is home to many bars, clubs, karaoke shops, pachinko parlors, and restaurants. 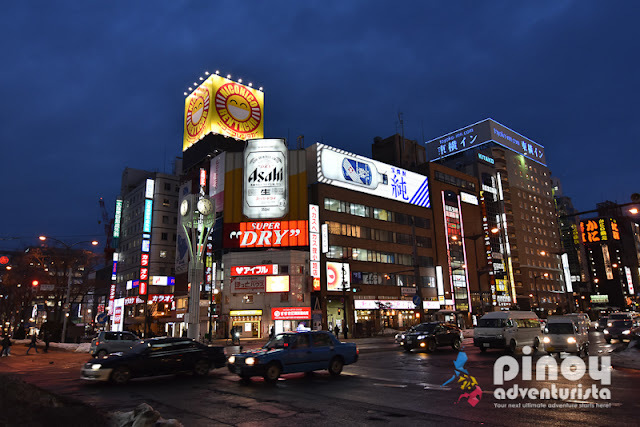 Considered as Japan's largest entertainment district north of Tokyo, it's an awesome entertainment hotspot and a good place for shopping, dining and nightlife. How to get there: Take the subway, alight at Susukino Station. Located just a short walk from Susukino Subway Station, a must-visit is the Ramen Alley where you could find a wide array of shops selling different kinds of Ramen, Gyoza, and other Japanese dishes. It is open daily from 06:00 pm to 03:00 am. Prepare around JPY 1,000 for a huge bowl of Ramen. How to get there: Take the subway, alight at Susukino Station, and walk for abour 3 minutes to Ramen Alley. Located in the Sapporo Garden Park in Higashi-ku, Sapporo, Hokkaidō, Japan, the Sapporo Beer Museum was opened in 1987 in a former brewery from the Meiji Period to provide guests and visitors with a varied knowledge of beer and brewing. 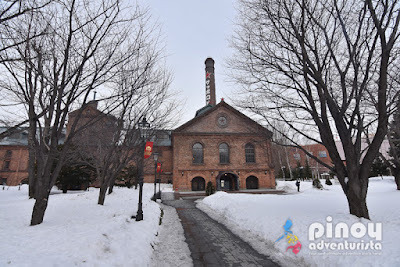 Set in a historic brick building that was registered as a Hokkaido Heritage site, it is a sight to behold, especially during in winter when it is framed against the whiteness of the snow. 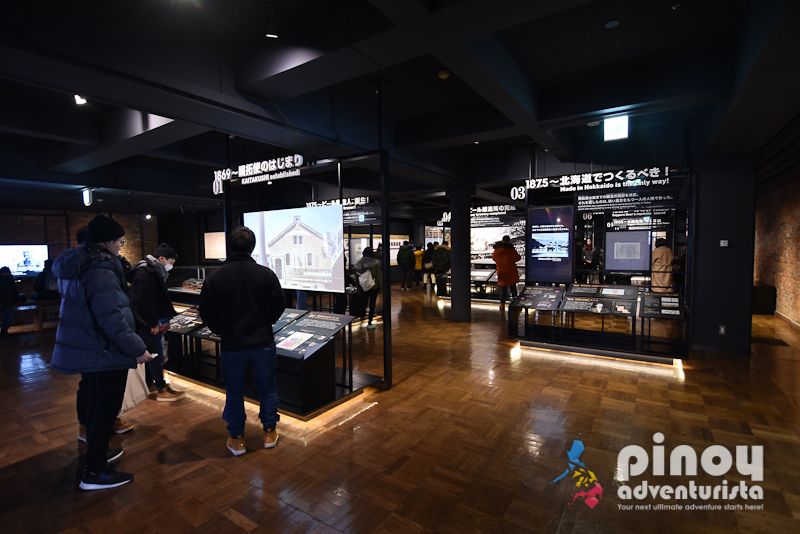 It offers free entrance to the museum which allows visitors to tour the museum and learn on their own time and at their own pace. 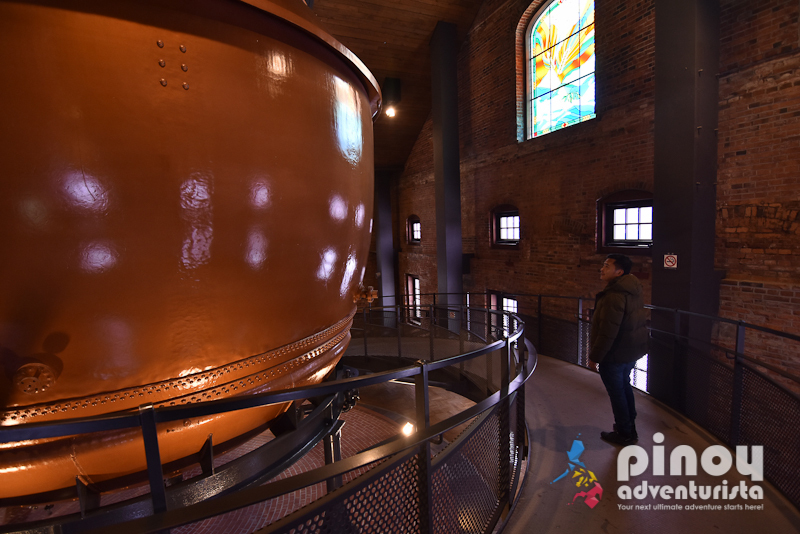 They also offer Premium Tours for a fee where a Japanese tour guide will assist guests as they go around all three floors of the building. The Sapporo Beer Museum is open daily from 11:00 am to 10:00 pm, while the Sapporo Beer Garden is open from 11:30 am to 10:00 pm, daily. Admission is free. 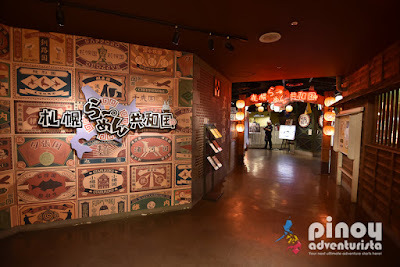 TRAVEL TIP: When visiting Sapporo Beer Museum, you may also try the famous local specialty called Genghis Khan Lamb. 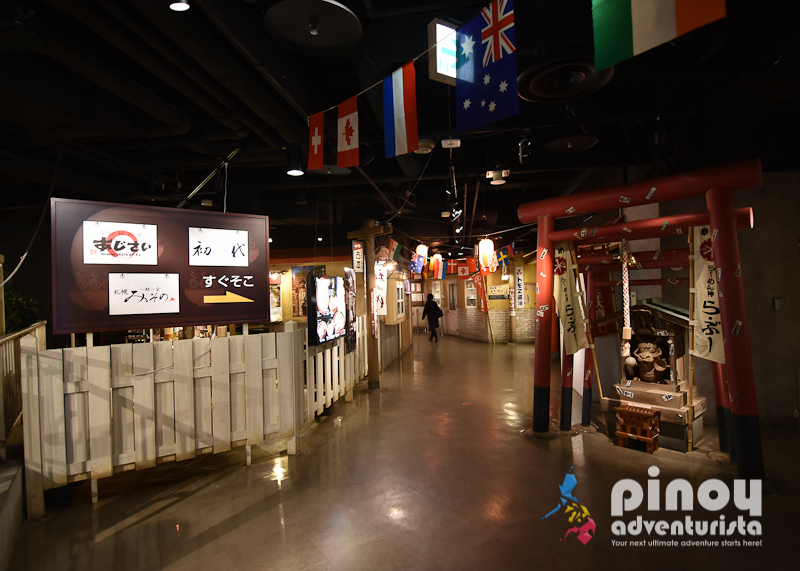 Enjoy local flavors with unlimited food and drinks buffet - which also includes their famous Sapporo Beer. The buffet features a variety of dishes, including Genghis Khan lamb, red king crab, snow crab, and more! Buffet schedule is from 05:00 to 07:50 pm daily. The restaurant is so popular, so it is highly recommended that you reserve a seat in advance. 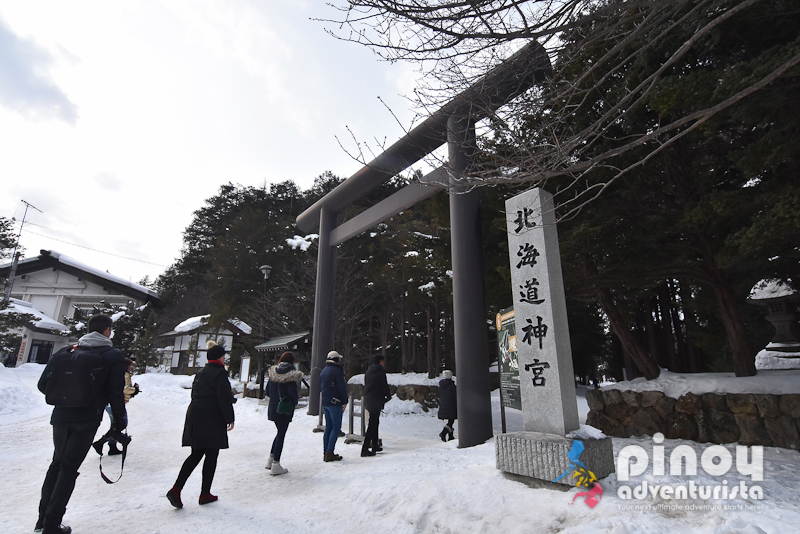 How to get there: Take the subway, alight at Higashikuyakusho Mae Station, take Exit 4. 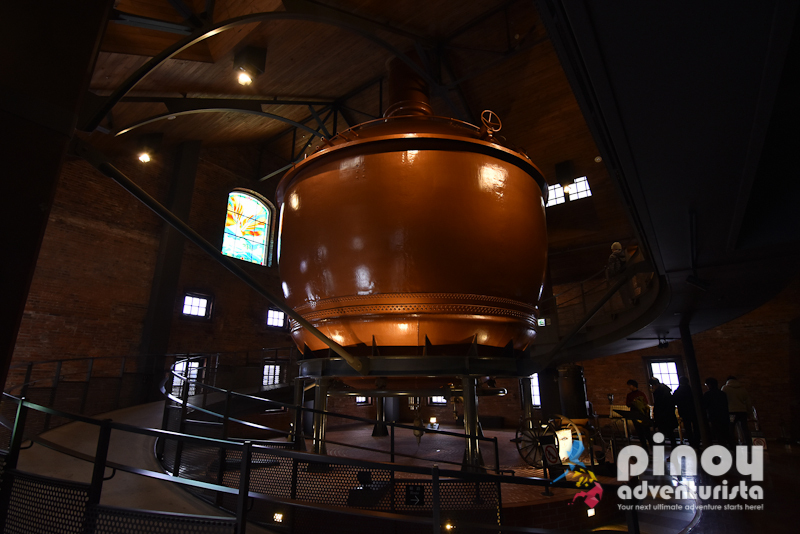 From the exit, take a leisurely walk for about 10-15 minutes to Sapporo Beer Museum. You may use Google maps to find it. Alternatively, you could also get there directly by taking the Sapporo Walk Bus (Chuo Bus 88) from Sapporo Station in front of the South Exit of the Tokyu Department Store. One of the must-do when visiting Sapporo Beer Museum is of course, tasting Sapporo Beer. Just go to the Star Hall, look for the beer vending machine to order, get your ticket and present it to the staff to get your beer. 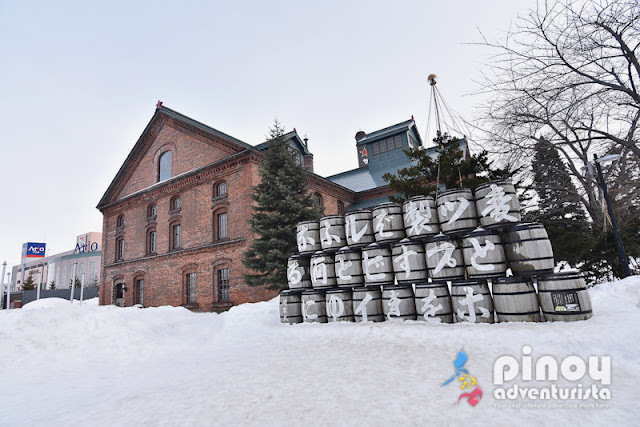 Here, you can enjoy the Hokkaido-only "Classic" beer, Sapporo Breweries' core product "Sapporo Draft Beer Black Label", as well as Sapporo Kaitakushi Brewery's "Kaitakushi Beer," and many more. The Star Hall is open from 11:00 am until 7:00 pm. Beer costs around JPY 200 per glass, depending on the variant. 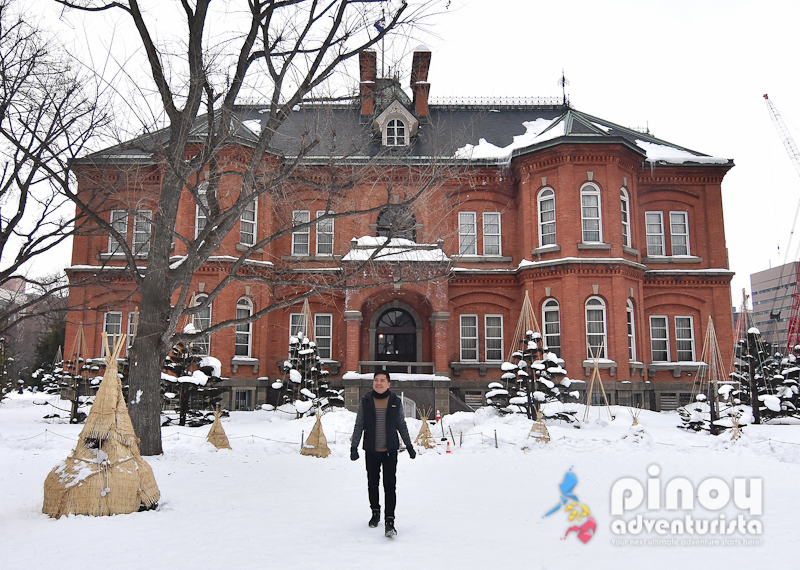 Built in 1888, this red-brick Old Hokkaido Government Building is hard to miss when exploring Sapporo. Nicknamed as "Akarenga Chosha" (Red Brick Building), it houses a few historical exhibition rooms and libraries, as well as tourist information center and a souvenir shop. In front of the building is a garden and a pond that visitors could also enjoy. 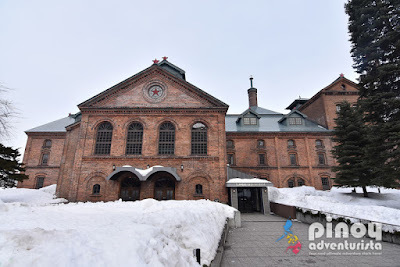 As the name suggests, it is where the seat of the Government of Hokkaido prefecture was located until the new building that is currently in use was completed. 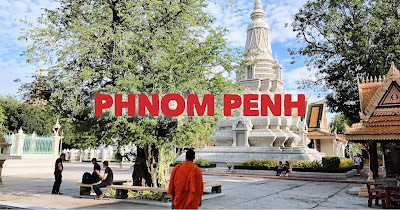 It is open daily from 09:00 am to 06:00 pm. Admission is free. How to get there: The nearest train station is Sapporo Station. It is an 8-minute walk from west exit of JR Sapporo Station, or 4-minute walk from Sapporo Station (Namboku and Toho subway lines) Exit 10. This is one of the best places to have an unobstructed 360-degrees views of Sapporo City. 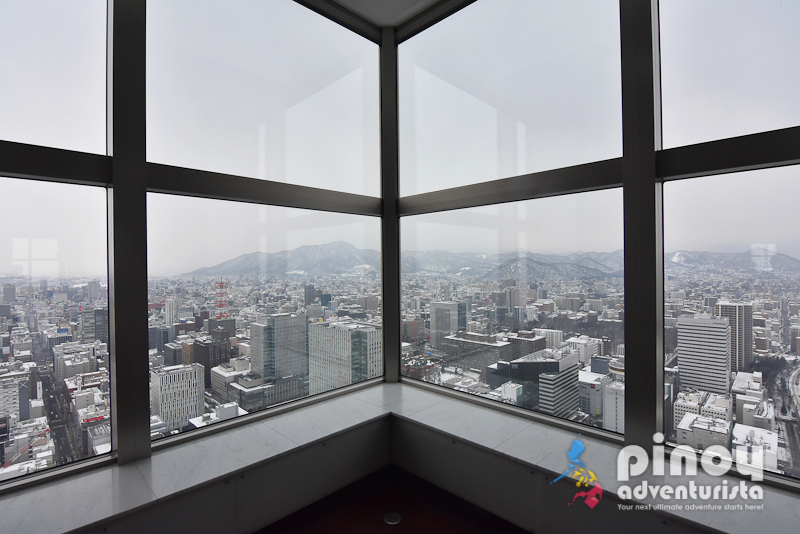 The JR Tower's Observation Deck T38 is located at the 38th floor of JR Tower Building with easy access from the shopping malls in Sapporo JR Station. 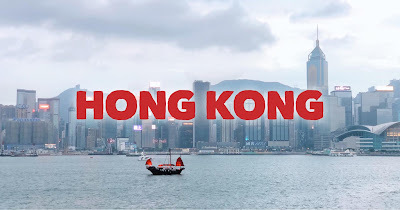 The best time to visit is during late afternoon to enjoy both of the city's day and night views. 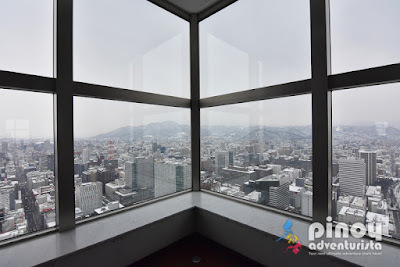 The admission ticket to the observation deck is ₱ 289 pesos per person. You can also make your visit even more amazing and memorable with a delicious afternoon tea set plus admission ticket for ₱ 466 pesos. The JR Tower Observation Deck T38 is open daily from 10:30 am to 11:00 pm with last admission time at 10:30 pm. How to get there: It is connected to the JR Sapporo Station. Just take the take the dedicated elevator from the 6th floor to the 38th floor. 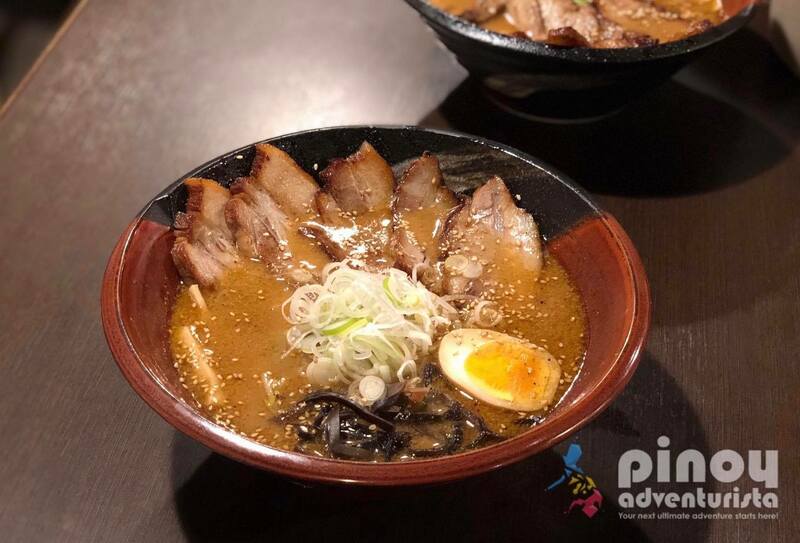 Offering an awesome selection of top Hokkaido Ramen Restaurants, Sapporo Ramen Republic (aka Sapporo Ramen Kyowakoku) is located at the 10th floor of the ESTA Complex, just beside Sapporo JR Station. If you're a Ramen lover visiting Sapporo, you have to check out this place. For me, this is the best place to eat Ramen in Sapporo. Sapporo Ramen Republic is open daily from 11:00 am until 10:00 pm. Prepare around JPY 1,000 for a huge serving of Ramen. Must-try is definitely the Miso Ramen. How to get there: Take the subway to Sapporo Station. Go to Esta Building located next to the train station then take the elevator going up to the 10th floor. 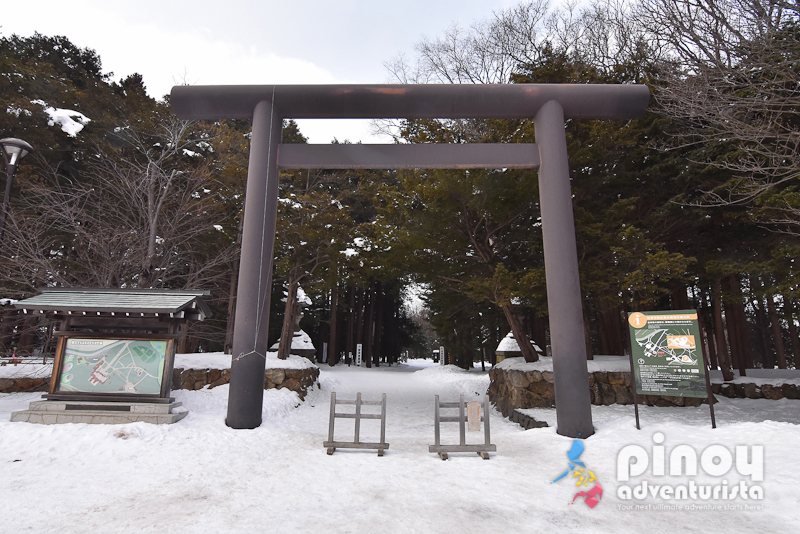 Located in the Maruyama district, Hokkaidō Shrine is a Shinto shrine that enshrines four kami including the soul of the Emperor Meiji. 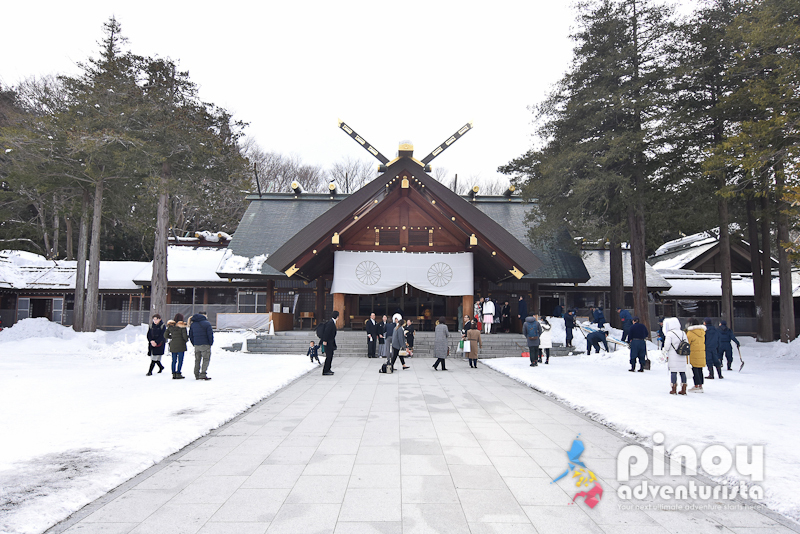 Entrance to the shrine is free and it is open daily from 08:00 am to 08:00 pm. How to get there: Take the subway, alight at Maruyama Koen Station, and take Exit 1 or 3. It's just 5 minutes walk from the exit. You may use google maps to find its exact location. 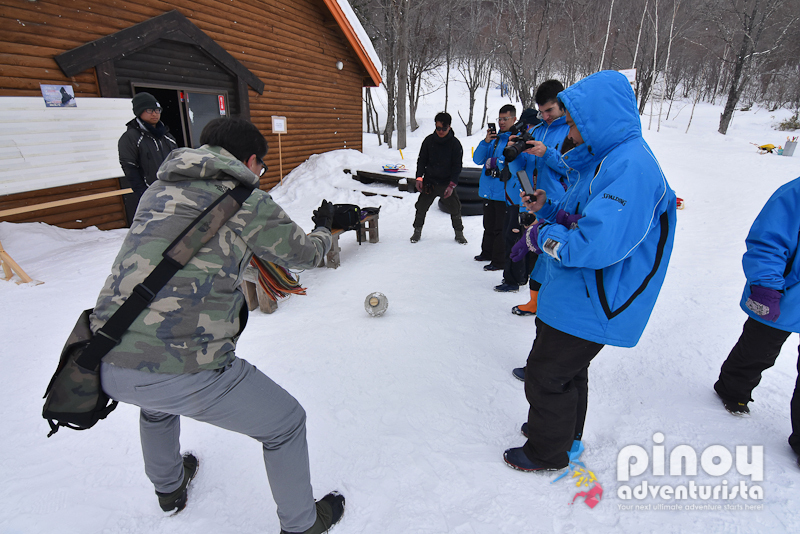 Of course, when visiting Sapporo during winter, a must-do activity is to experience different winter activities. 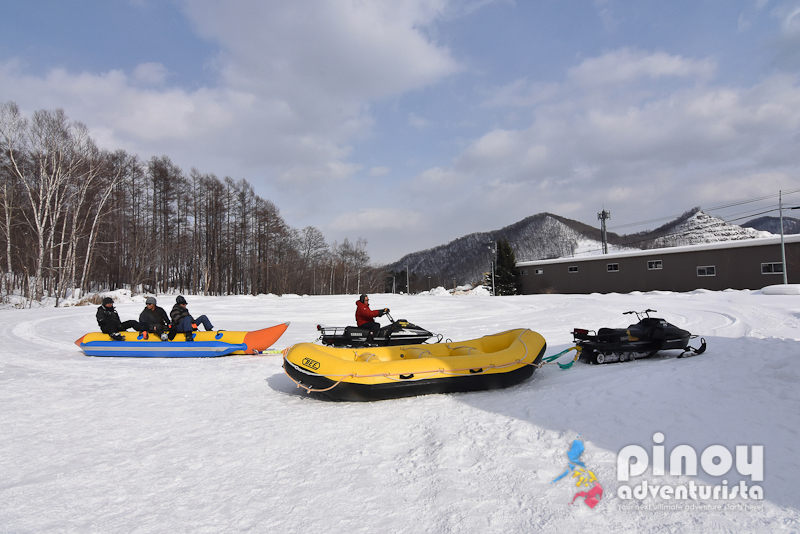 One of the largest snowmobile tour company outside North America is located in Sapporo. 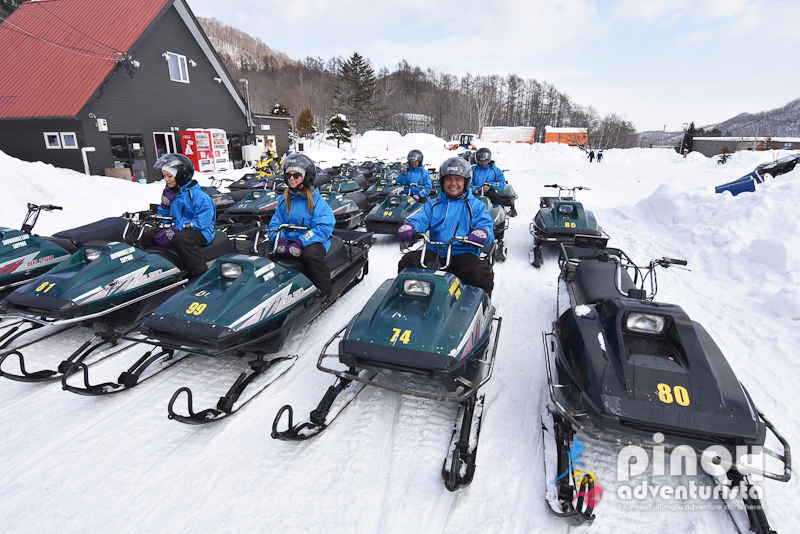 The Snowmobile Land is an amazing place where you can enjoy many winter activities such as driving a snowmobile, learning the traditional way of ice cream making, snow rafting, snow banana boat, snow tubing, and a lot more. 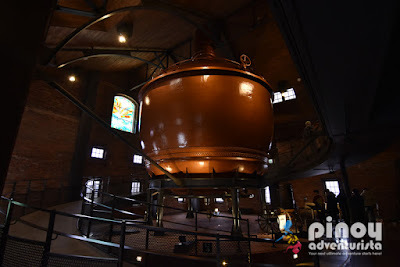 This is definitely one of my favorite places we visited during our Sapporo trip. We really has so much fun and enjoy the many winter activities offered at Snowmobile Land. 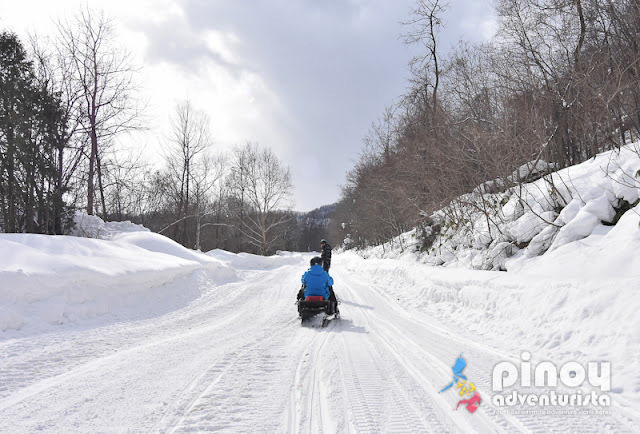 BOOK A SNOWMOBILE LAND EXPERIENCE HERE! Want to experience how to be a ninja even just for a day? 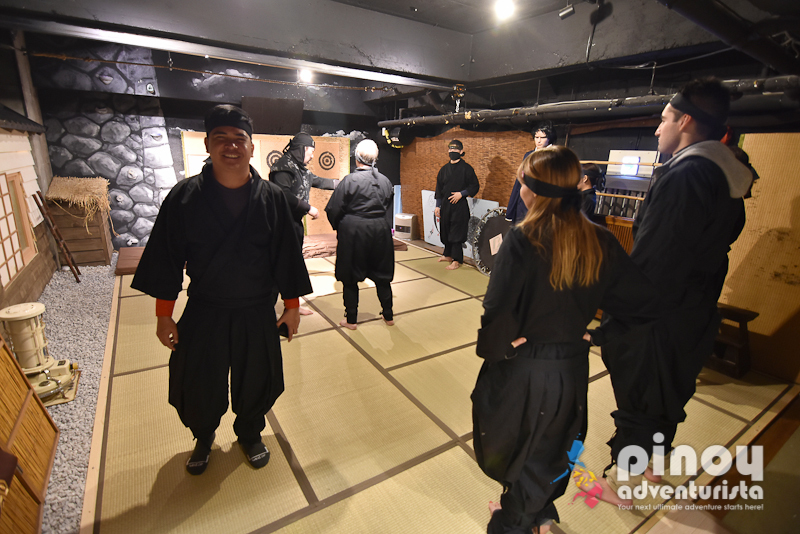 We got to enjoy and had a wonderful and fun experience to be trained as ninjas at a secret place in Sapporo. Sorry I can't reveal the exact location because they requested us not to tell the address. But you can book it thru their website where Ninja Training Package includes hotel pick-up and drop-off. 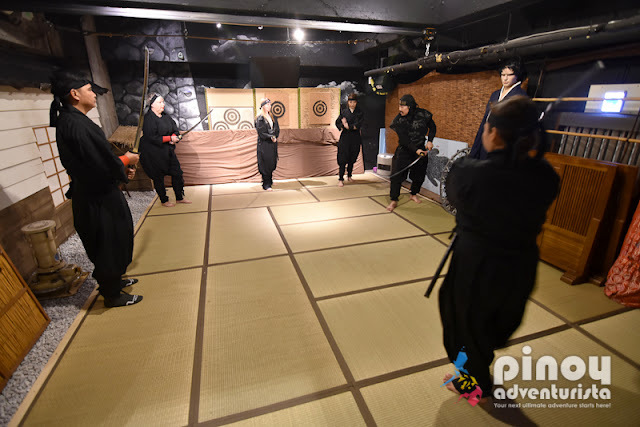 This activity is ideal for kids and adults where you could have Ninja training in real Ninja weapons while in Ninja costumes. Amazing right?! 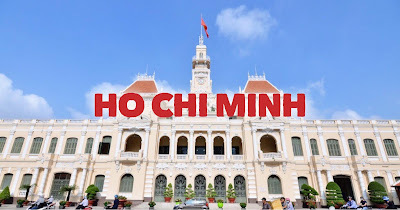 They have 4 sessions daily at 10:00 am, 01:00 pm, 03:00 pm, and 05:00 pm. 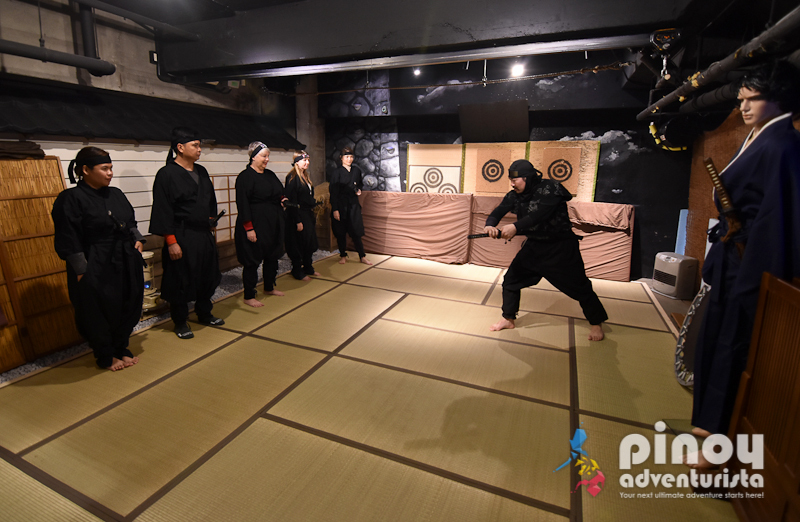 YOU CAN BOOK A NINJA EXPERIENCE HERE! 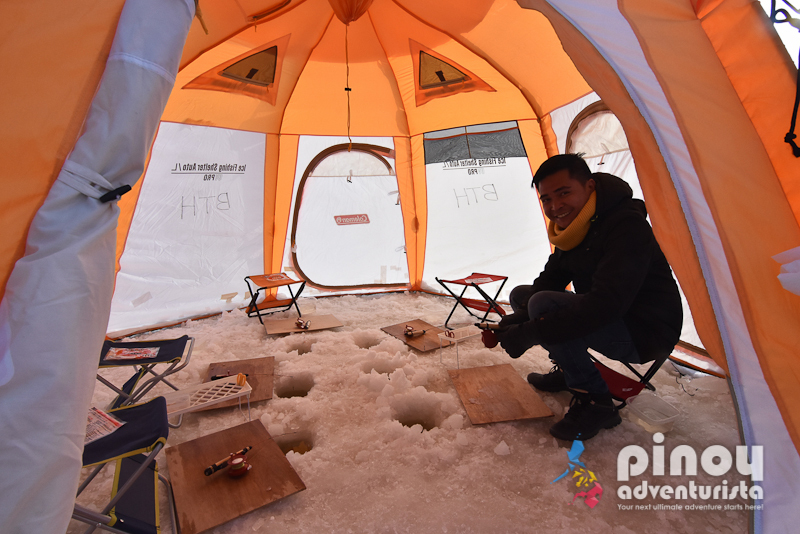 Smelt fishing is a popular activity in Hokkaido during winter season. Smelt is a kind of small fish found in the North Atlantic and North Pacific Oceans, as well as in rivers, streams and lakes. We did smelt fishing on the thick frozen ice of the Barato River, for a true taste of Hokkaido's winter adventure. From putting on the bait, to dropping it on the hole, and waiting for the fish to be caught, we experienced all of that. All the smelt fishes we caught were then collected and cooked tempura-style. We then feasted on it. Yummmmm!!! 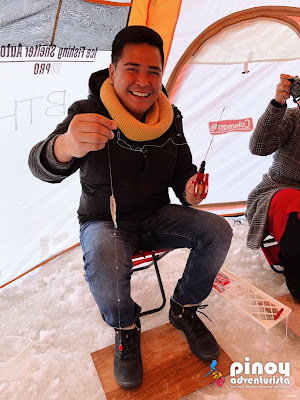 It's my first time to do smelt fishing and it was so much fun! 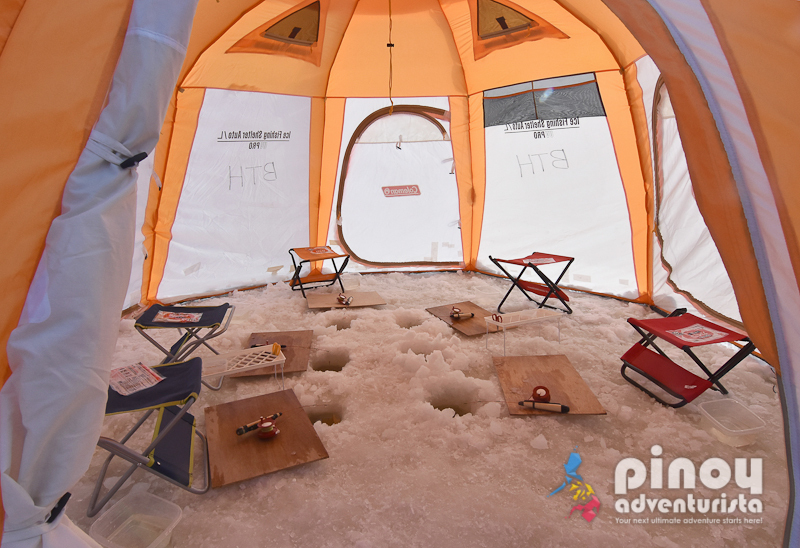 BOOK A SMELT FISHING EXPERIENCE HERE! If you're looking for day trips from Sapporo, I highly recommend visiting the historic port town of Otaru and the amazing Lake Shikotsu in Chitose. 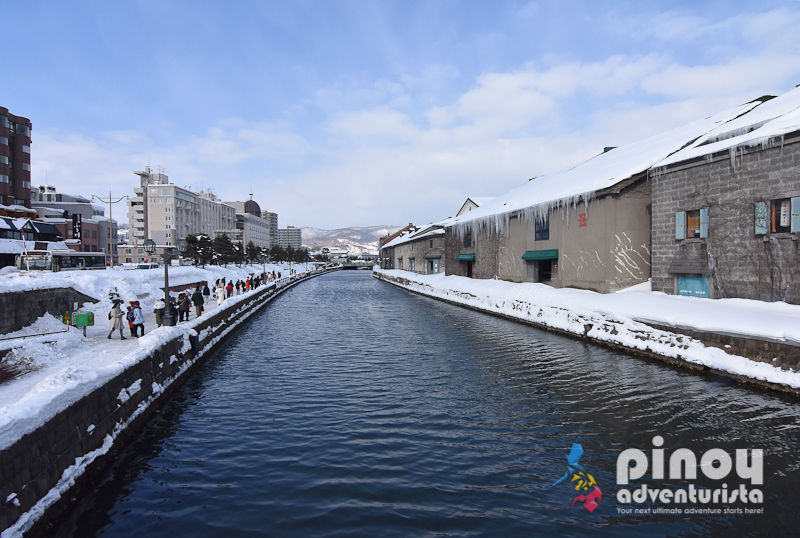 Otaru is an awesome day tour destination from Sapporo. 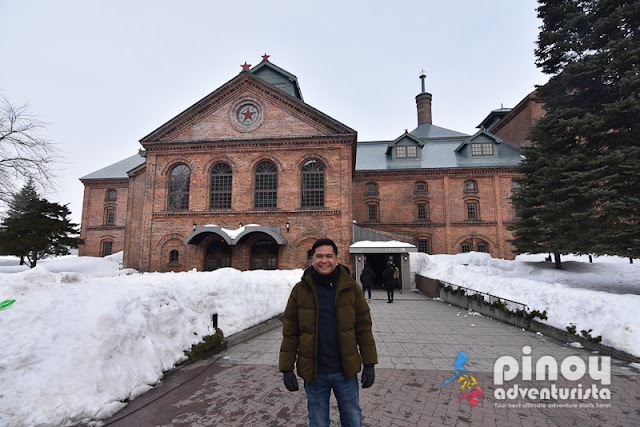 Located just less than an hour away by train from Sapporo, this place is a must-visit and should be part of your Sapporo, Hokkaido Itinerary. 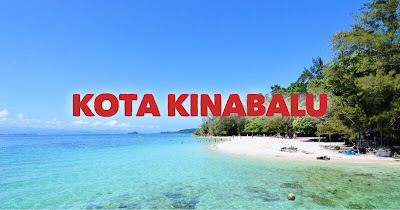 It is popular among Filipinos because scenes from the movie "Kita Kita" were filmed here. When in Otaru, don't miss visiting the Otaru Canal, experience a canal cruise, appreciate the western-style buildings, try the food, and visit the Otaru Music Box that houses over 25,000 music boxes. We went to Otaru on a day tour from Sapporo on our own. We just took the JR Train to Otaru from Sapporo Station. Travel time is around 1 hour and fare is JPY 640. 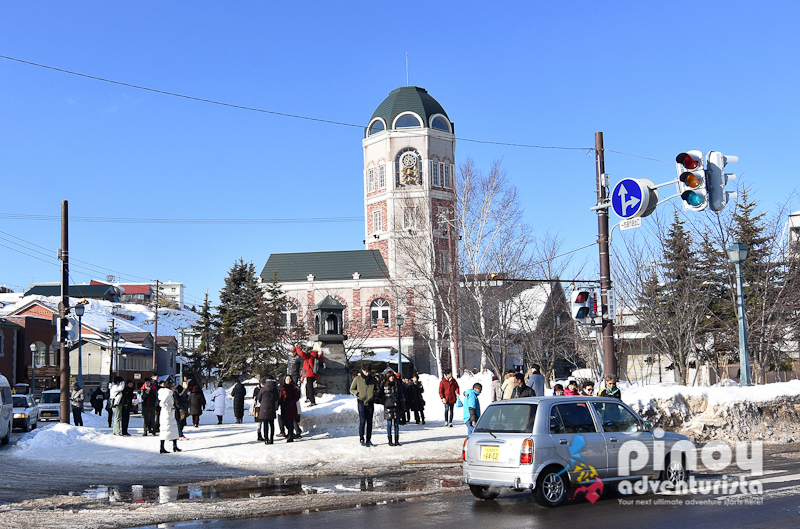 For ease and convenience, you can avail an Otaru Rickshaw Tour offered by Klook. 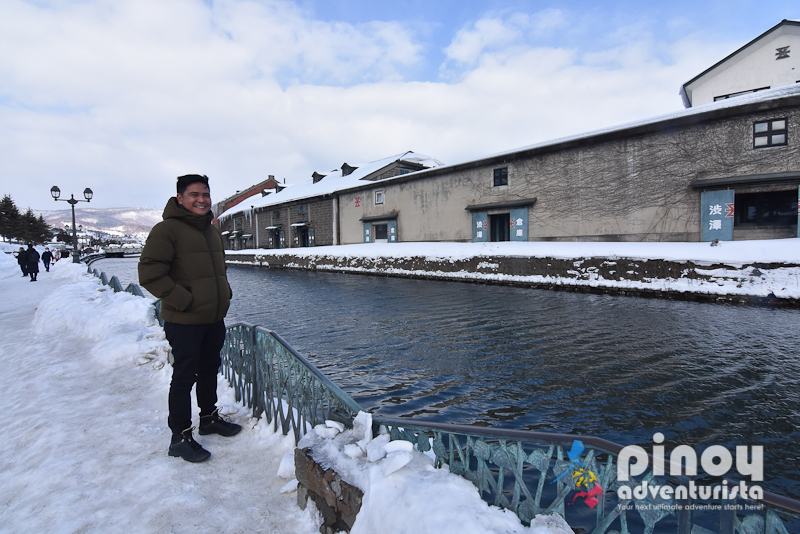 With this tour, you can enjoy and learn about Otaru's rich history by touring the historic architectural sites while riding a traditional rickshaw. BOOK AN OTARU RICKSHAW TOUR HERE! TRAVEL TIP: You can also make Otaru as a stop before going to the airport by booking an Otaru and Chitose Bus Trip from Sapporo. This bus trip includes pick-up in major hotels in Sapporo, free time to tour around Otaru, and one-way bus transfer to New Chitose Airport. YOU CAN BOOK AND RESERVE A SEAT HERE. Located in Chitose, Hokkaido, Lake Shikotsu is just an hour away from Sapporo or around 45 minutes away by bus if you're coming from New Chitose Airport. It is part of the Shikotsu-Toya National Park and offers spectacular views and sights where one can truly enjoy nature. Lake Shikotsu is considered as the second deepest lake in Japan, after Lake Tazawa in Akita Prefecture. It is also the 8th largest lake by surface area in Japan and the second largest of Japan's caldera lakes. READ MORE HERE. 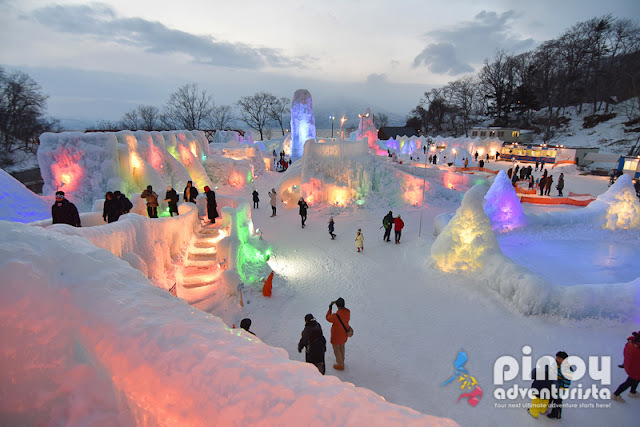 If you're visiting Lake Shikotsu during winter, you can also enjoy their Ice Festival that showcases different buildings and structures made from the water of the Shikotsu Lake. READ MORE HERE. How to get to Lake Shikotsu? 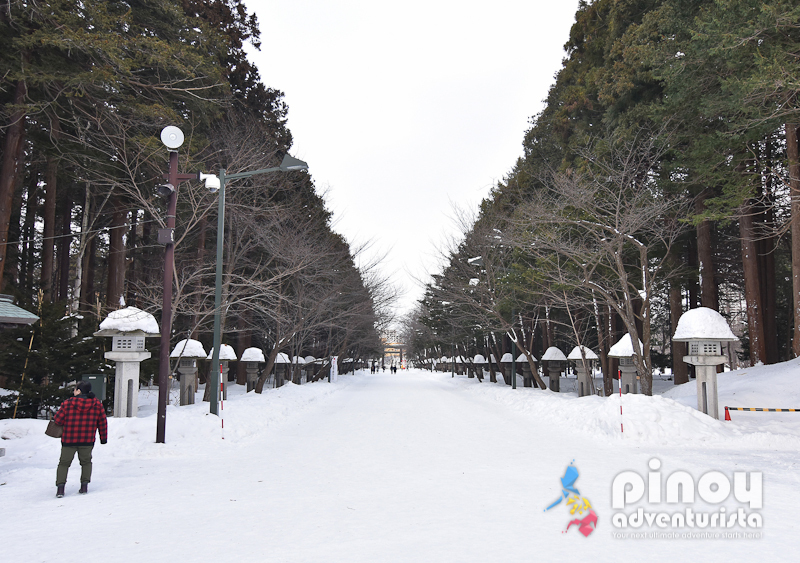 You can get there from New Chitose Airport or from Sapporo. You may read my blog post on Lake Shikotsu for the instructions on how to get there. 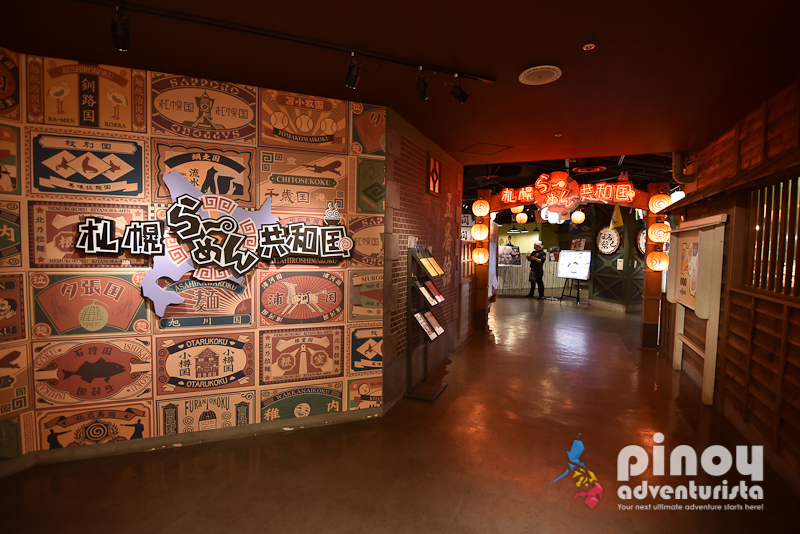 Here are the other popular tourist spots, experiences, day trips, and activities to try in and near Sapporo. For more amazing guided tours and exciting day trips from Sapporo in Hokkaido, Japan PLEASE CLICK HERE. 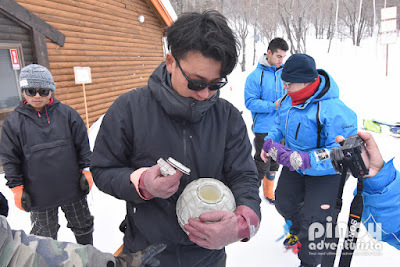 Below are my sample DIY Sapporo Itineraries for 3, 4, 5 days. 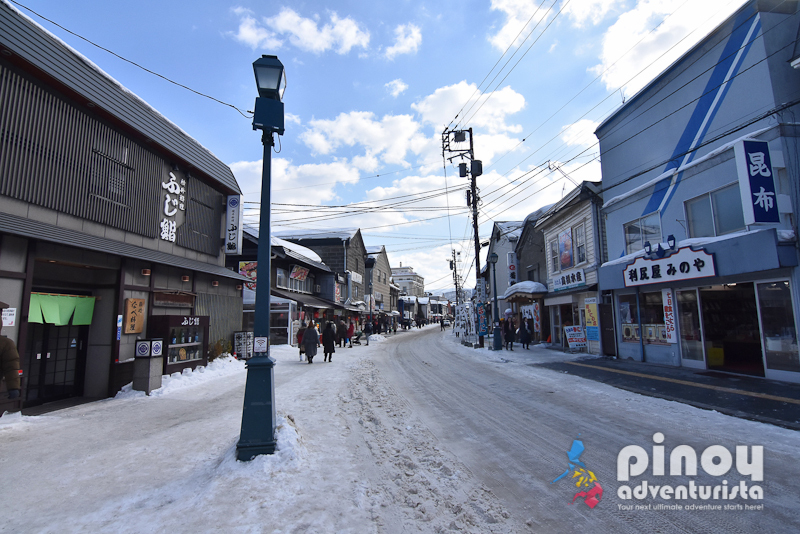 I also included Otaru and Lake Shikotsu day trips if you wish to visit it too. These are just sample itineraries. 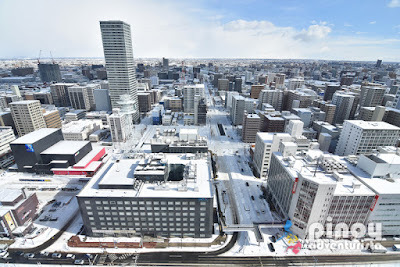 Feel free to adjust it depending on your flight arrival and departure schedules, the number of days you want to spend, the things you want do, and the attractions and tourist spots you want to visit in Sapporo, Hokkaido Japan. 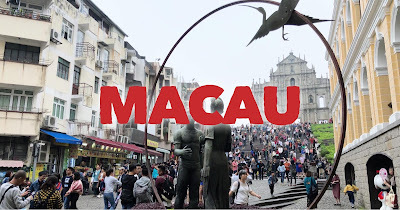 You can tweak it and use it as your guide in creating your itinerary. 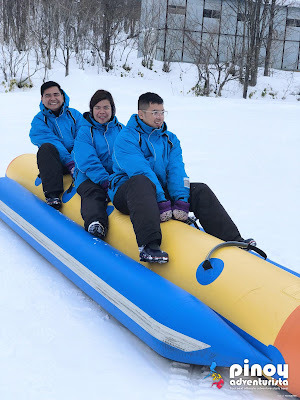 This 3 days and 2 nights Sapporo itinerary is the simplest and most budget-friendly itinerary I could think of. 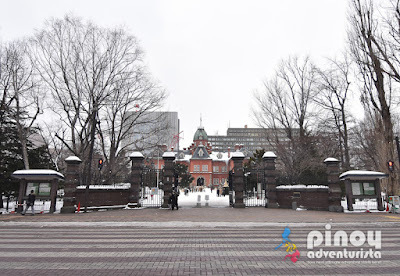 What I included here are mostly the top attractions in Sapporo that you could visit for free. This is an ideal itinerary for those on a budget and have limited time. 07:30 PM - Depart from Narita to Manila via Jetstar Flight GK41. Have dinner during the flight. If you're have more time, you can add one more day to the itinerary above by inserting one more day and make it a 4 days and 3 nights Sapporo itinerary. 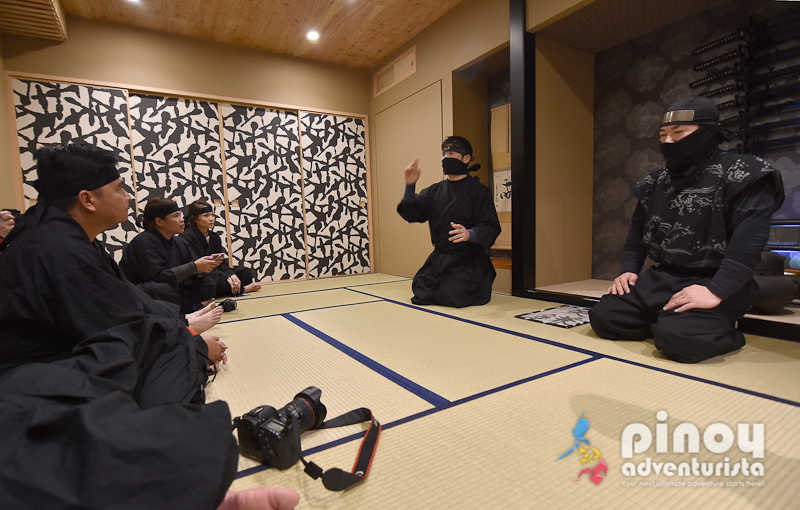 For your additional day, you can avail a Hokkaido Jozankei Resort Spa Mori No Uta Onsen Day Tour and have a ninja training experience. 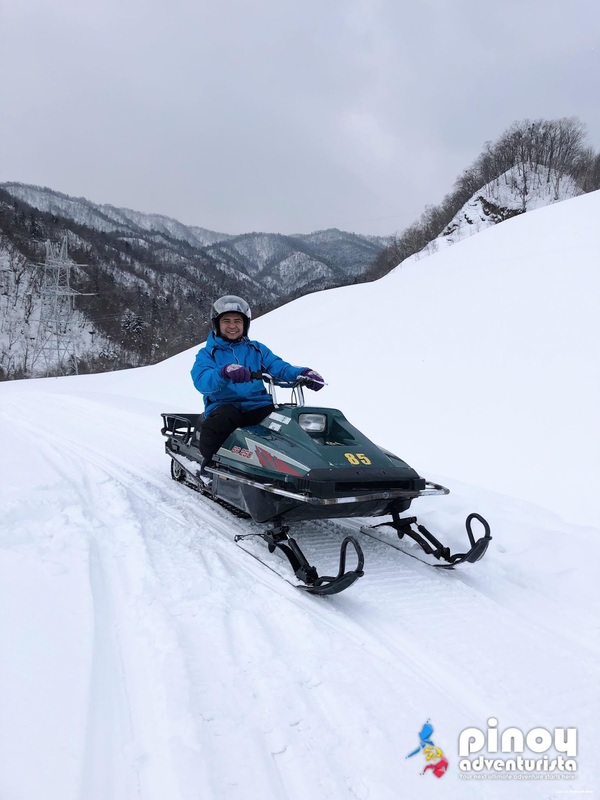 If you're traveling to Sapporo during winter, you may also add one more day in your itinerary other activities such as the Snowmobile Land experience, smelt fishing, Lake Shikotsu-Toya National Park, and Lake Shikotsu Ice Festival. You can do this conveniently by renting a private car for a day for as low as ₱2,060 per day. 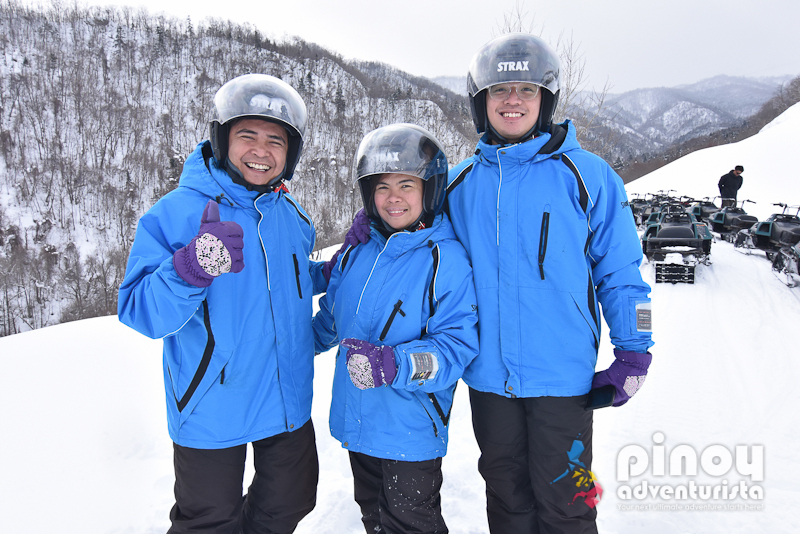 Enjoy the activities: driving a snowmobile, learning the traditional way of ice cream making, snow rafting, snow banana boat, snow tubing. Take photos, cross the Yamasan Railway Bridge, enjoy the sunset and visit Lake Shikotsu Ice Festival. Don't forget the night illumination. 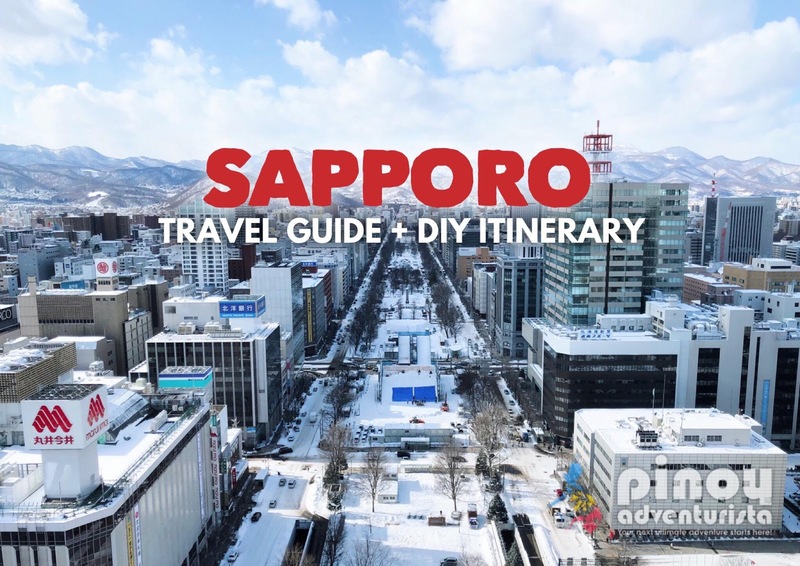 You can download a PDF copy of these Sapporo itineraries, HERE. You will be traveling in a group of two to share some of the expenses. 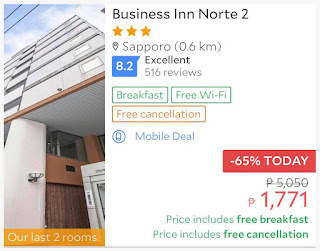 You will be staying in a hotel near Sapporo Station for PHP 2,000 per night. 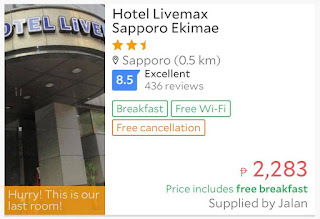 You'll be renting a pocket WIFI for PHP 234 per day. Your maximum budget for breakfast is JPY 500 and for lunch and dinner is JPY 1,000. Conversion rate used is 1 PHP = 0.470 JPY. 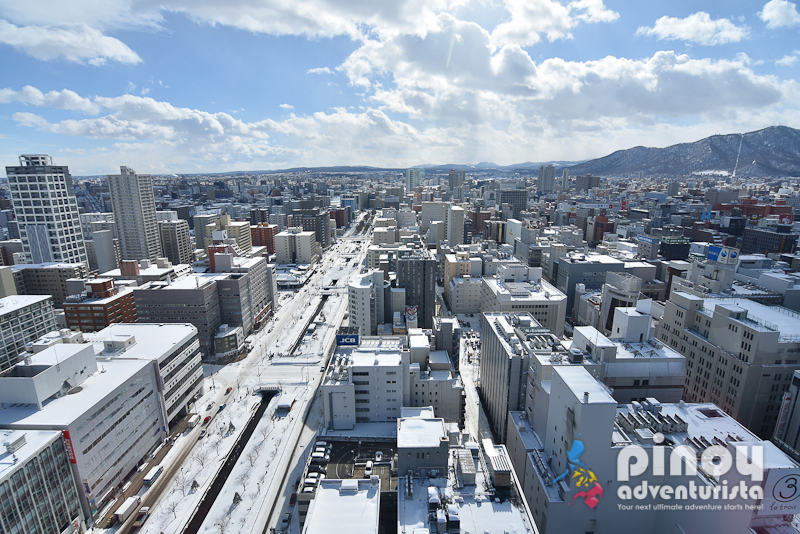 Please note that budget and expenses for a trip to Sapporo depend on your spending habits. 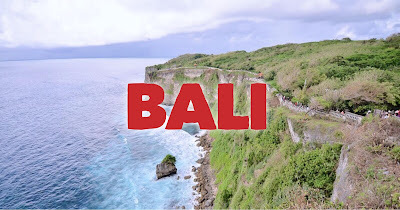 It also depends on how many are you in the group, what is your preferred accommodation, where you want to eat, and the places you want to visit. The above ticket prices, hotel rates, and other expenses are subject to change and depend on the season and on the date of your booking. 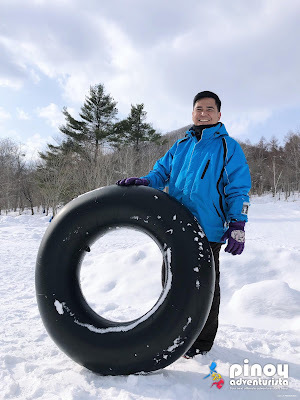 For more travel inspiration and to help you in planning your itinerary, you may also check out my other travel blogs on Sapporo in Hokkaido, Japan. 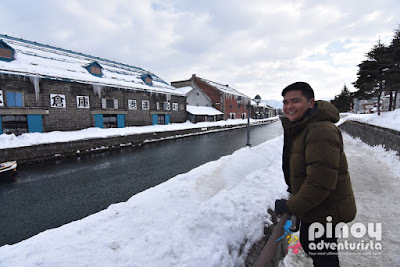 How to get to Sapporo from Manila Philippines? 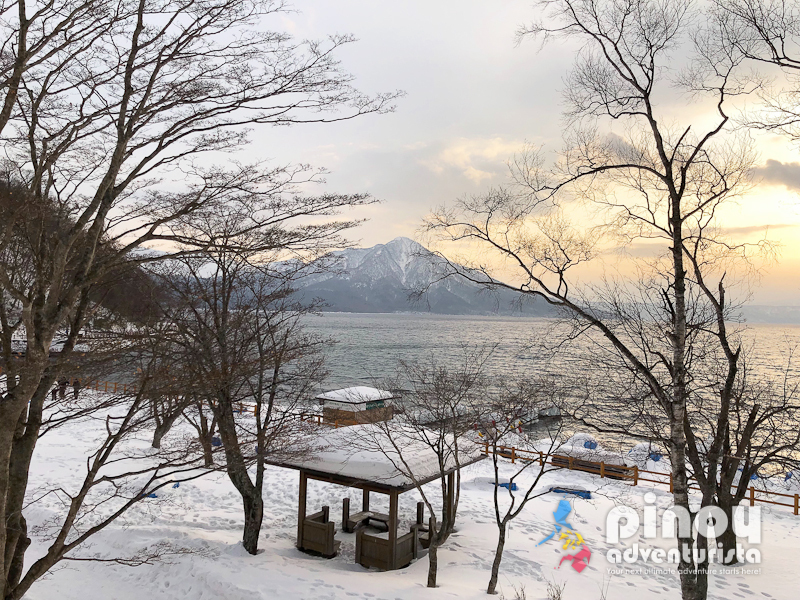 Lake Shikotsu, "An Awesome Day Tour from Sapporo!" 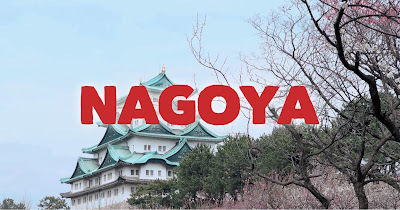 Nagoya Travel Guide Blog with Things to do, Tourist Spots, Itinerary, Hotels, and More! 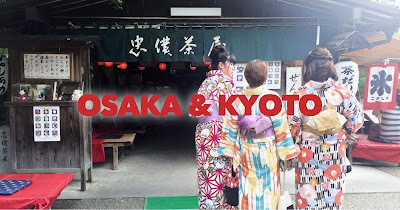 Kyoto Travel Guide Blog with Itinerary, Things to do, Tourist Spots, and More! Plan your trip ahead. You can save a lot on travel expenses if you book your flights and hotel accommodation in advance. Always check Jetstar Airways' low airfares, seat sale, and promos at their website www.jetstar.com. You can save as much as 50% off on hotel acommodation when you book a room in advance. 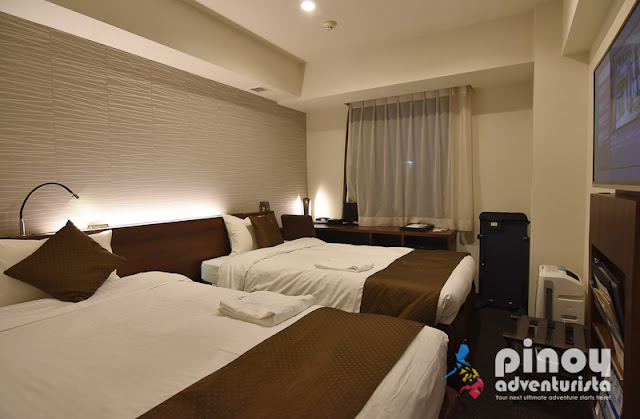 Click here to see the list of top best hotels in Sapporo. Wear comfortable shoes. 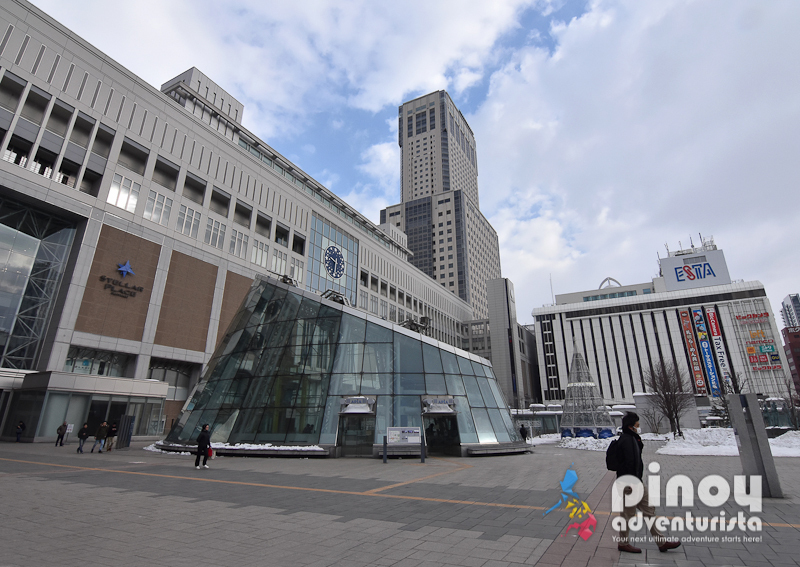 Sapporo is a very walk-able city. With its grid layout, it's easy to navigate its streets without getting lost or disoriented. By walking, you can also save a lot on transportation expenses. 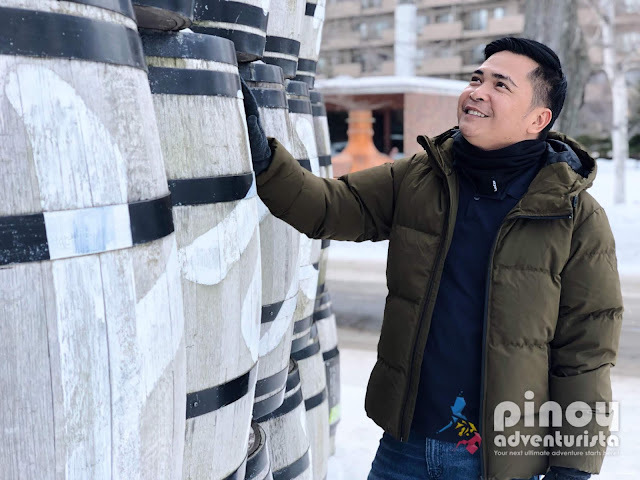 When visiting during winter season, be sure to prepare for the very cold weather by wearing proper garments such as heat tech base layer, winter jacket, neck warmer, scarf, beanies, gloves, and winter boots. You can also use heat packs that you can stick to your clothes or put inside your pockets to provide you with some heat. You can buy it at convenience stores in Sapporo. If you don't have winter boots, you can use hiking boots, or your regular rubber shoes. But if you use a regular rubber shoes, please make sure to put an anti-slip rubber into your shoes' soles to avoid slipping on snow. You can buy it at the convenience stores in Japan. Tipping is not practiced or customary in Japan. You don't need to leave a tip when dining at restaurants or give tips to your tour guide. In fact, tipping can be considered rude and insulting in many situations in Japan. 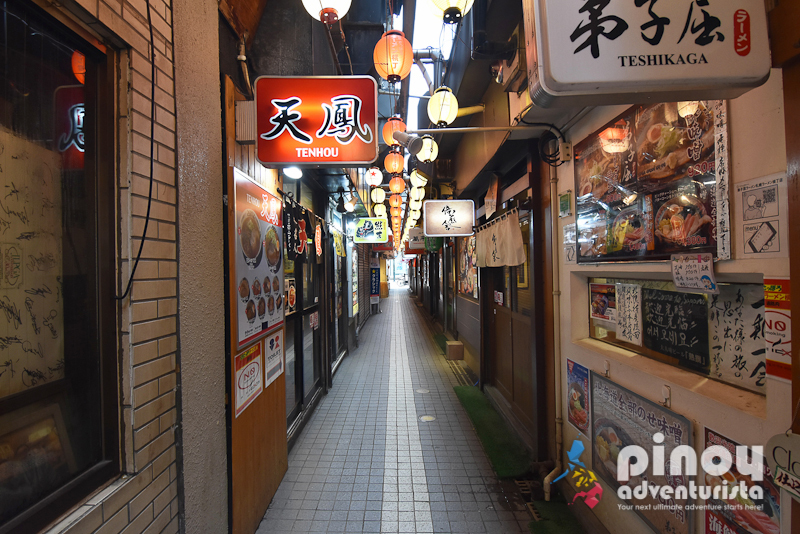 If you're really on a tight budget, you can eat packed meals at the convenience stores for JPY 500 per meal or less. 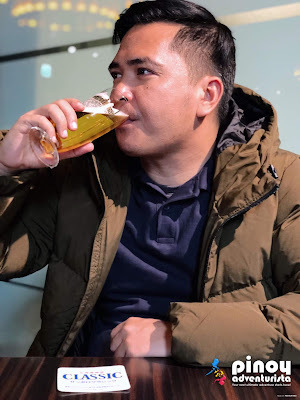 But I recommend that you allot some budget for food and spend at least JPY 1,000 for lunch and dinner to have a taste of their Ramen and other local dishes. Sapporo has very strict no smoking policies. Smoking is not allowed in public areas. Please smoke only in designated smoking areas. When using the escalator, stand on the left side when you're not moving to give way for people rushing or in a hurry on the right side. Always remember that eating and drinking are not allowed when riding the subways. Winter clothes and heat tech products are cheaper in Japan compared to the Philippines. Maybe, you could bring a few then buy more when you arrive. Take note that "end of season sale" happens mid-February to March, that's the time when most of the items you could find in the stores are on sale - especially the winter clothes and boots. Cold weather tends to drain your gadgets' batteries very fast. Always bring a power bank. Japan uses Type A electric plug (the one with 2 flat pins) at 100V and the standard frequency is 50/60Hz. It is just the same as what we use in the Philippines the only difference is that we use 220 volts. You can still charge your camera and mobile phones without the need for a universal adapter. Always check the weather before going to Sapporo. 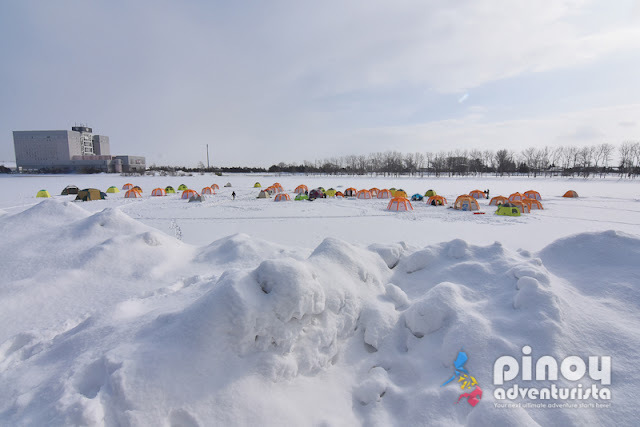 Winter could be extremely cold and summer could be very hot. 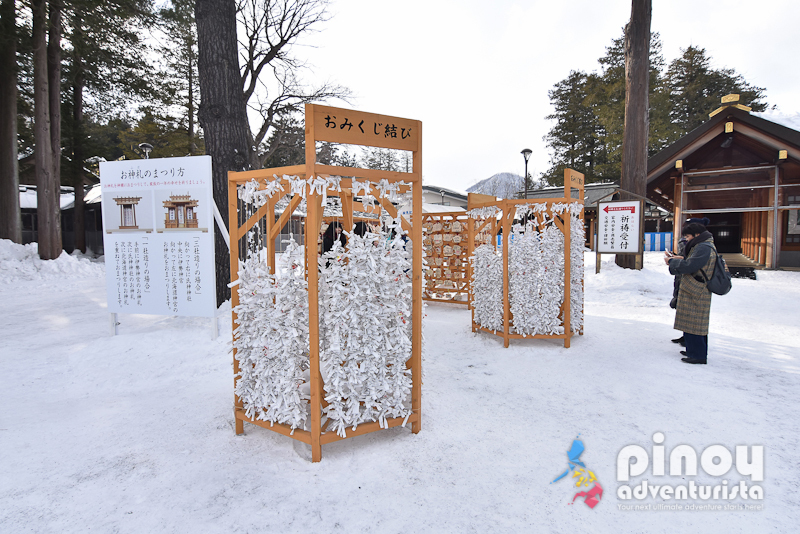 This way, you'll know what clothes to bring when you travel to Sapporo. Take advantage of websites that offer discount passes to tours and services. I always book my travel essentials such as WIFI or sim card, airport transfers, IC cards, tours and activities with Klook. They have an extensive list of products offered in Sapporo. 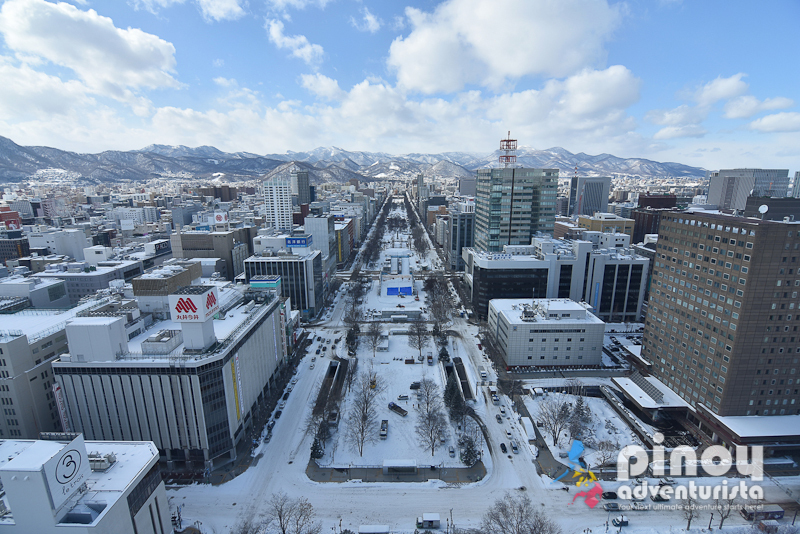 You may see the list of amazing things to do in Sapporo here. I hope this Sapporo Travel Guide Blog 2019 for First-timers help you in planning a memorable Hakkaido, Japan adventure! Enjoy and have fun!